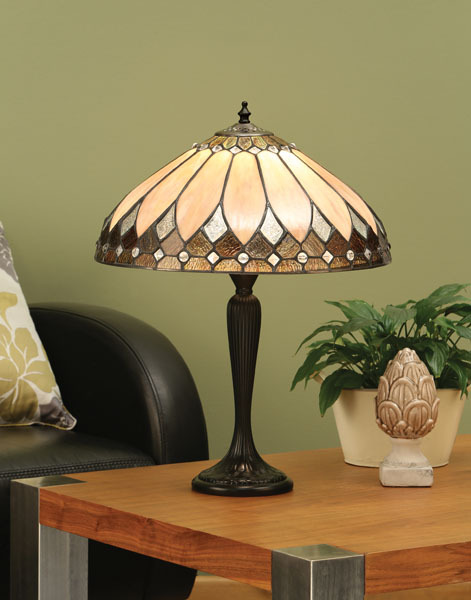 Angelos lighting is a lighting store in North London selling a wide range of top quality replica Tiffany lighting including Tiffany table lamps, Tiffany floor lamps, Tiffany pendant light shades and Tiffany wall lights. 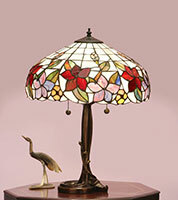 Genuine Tiffany lampshades are rare antiques and therefore very expensive – for example, genuine Tiffany lamps, produced between the early 1890’s and late 1930’s by Louis Comfort Tiffany and Tiffany Studios regularly sell for £10000+ at auction and it is reported that a particularly rare one sold for $2 million in the US quite recently. 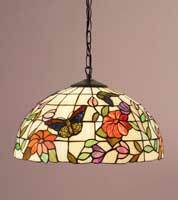 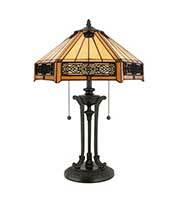 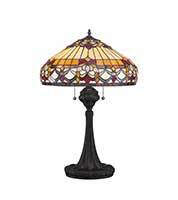 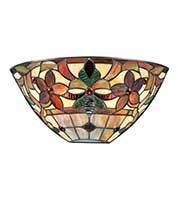 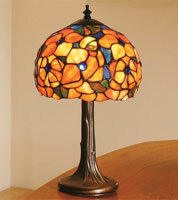 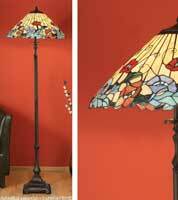 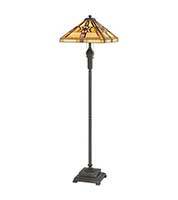 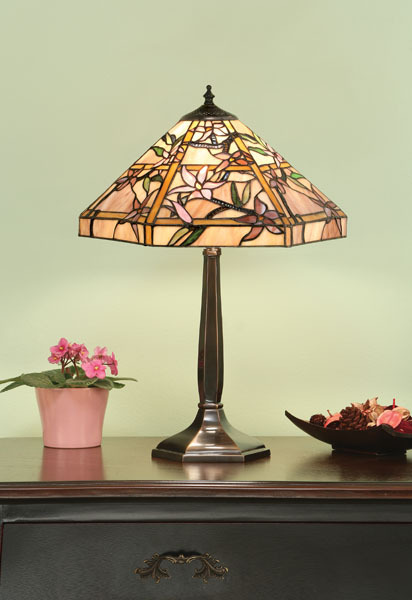 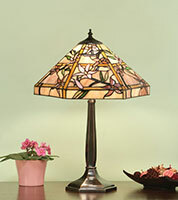 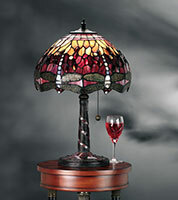 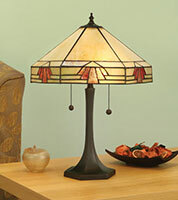 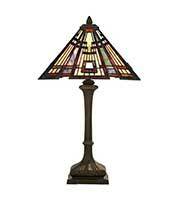 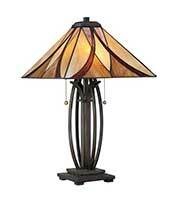 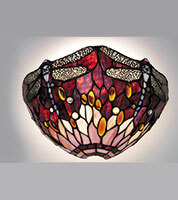 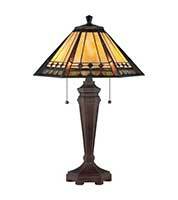 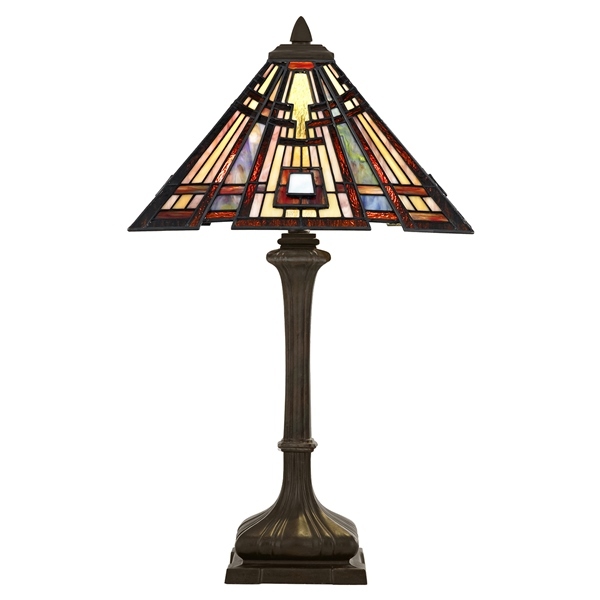 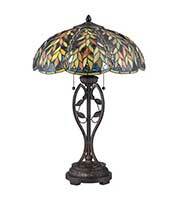 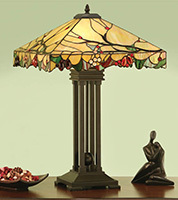 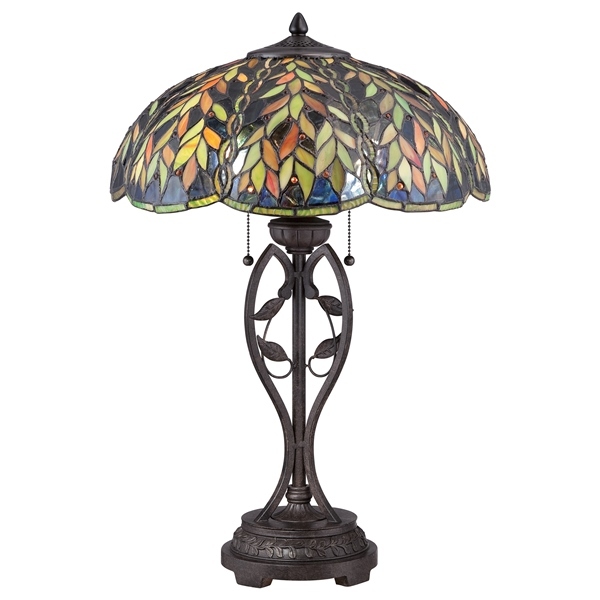 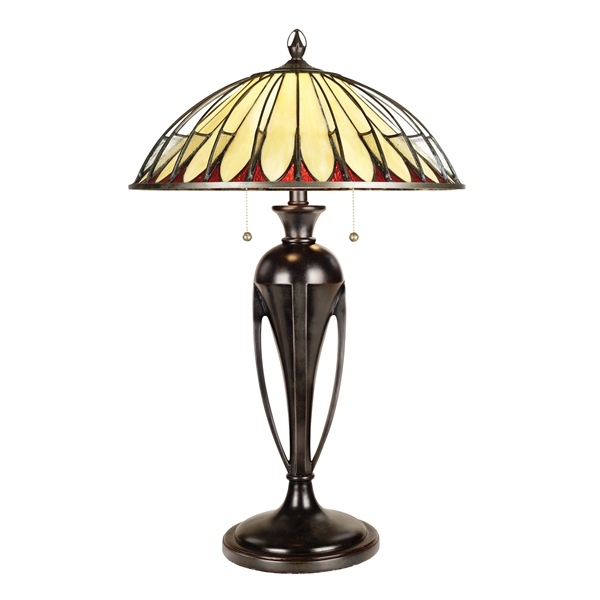 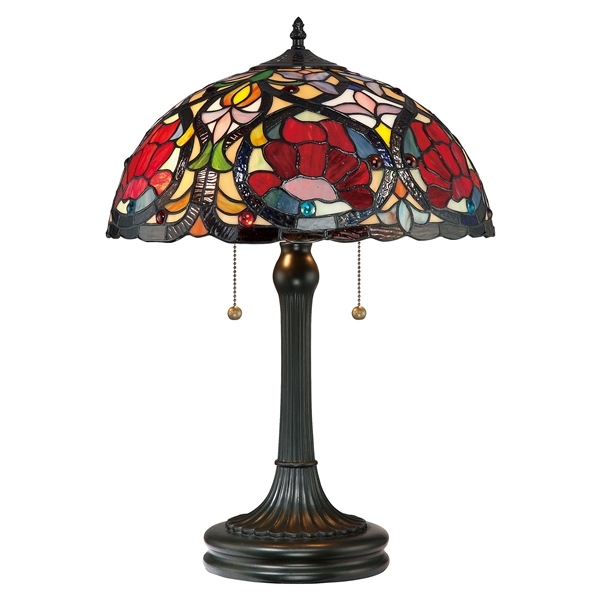 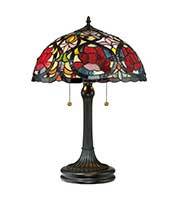 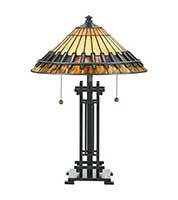 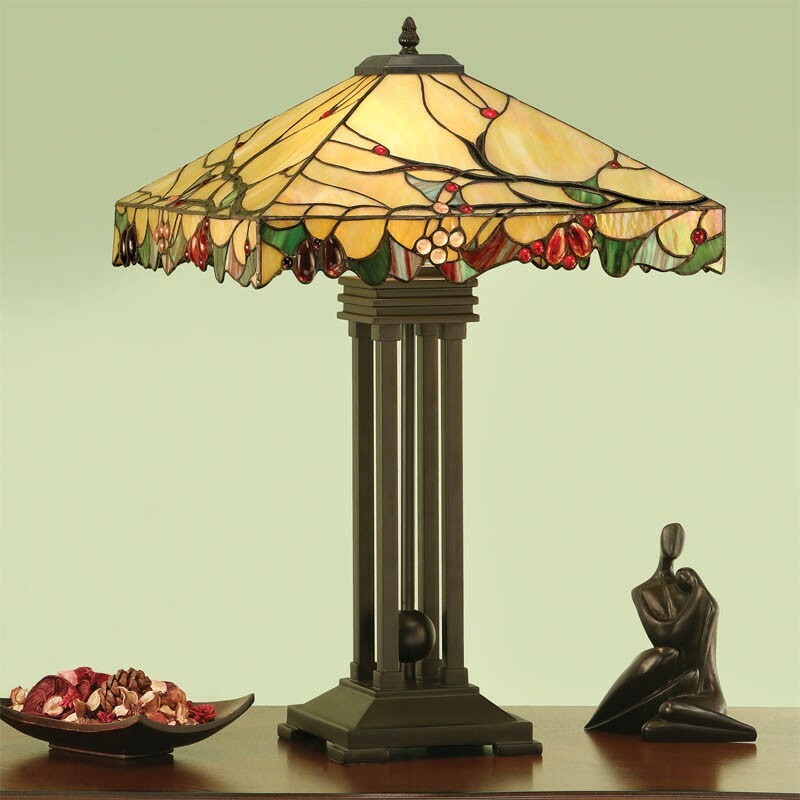 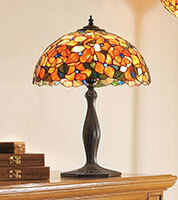 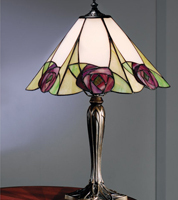 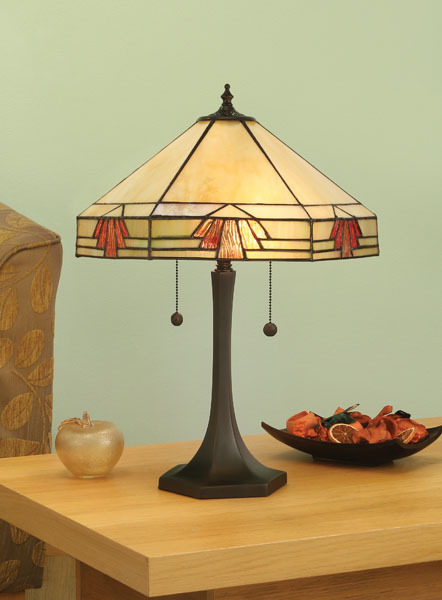 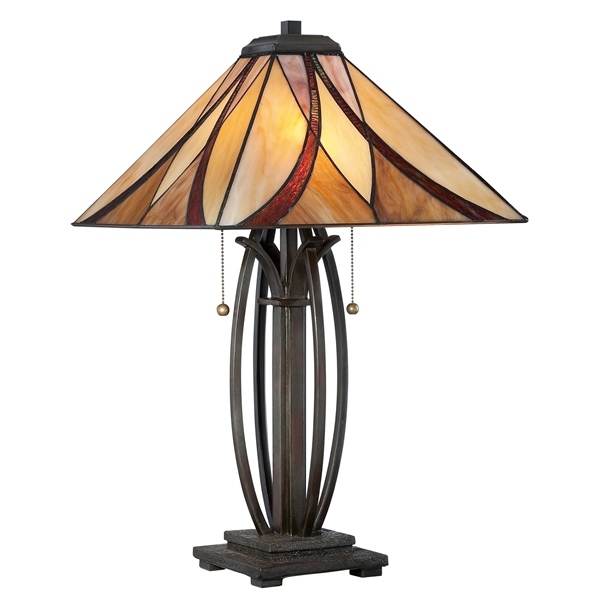 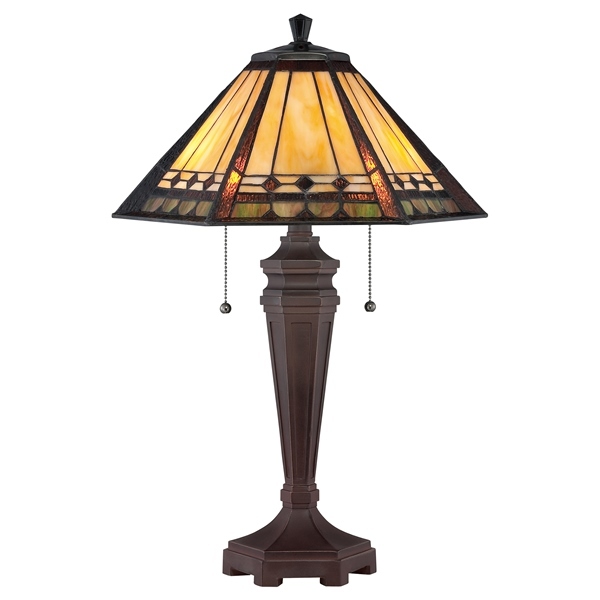 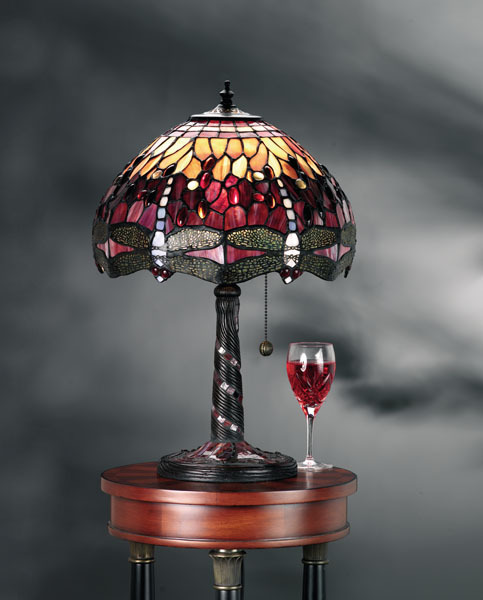 Our Tiffany lamps are not genuine Tiffany lamps but are a top quality reproductions. 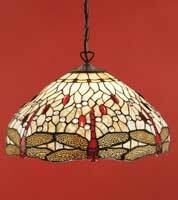 Tiffany lamps were originally created by Louis Comfort Tiffany, son of Charles Lewis Tiffany who was the founder of Tiffany & Co the jewellers. 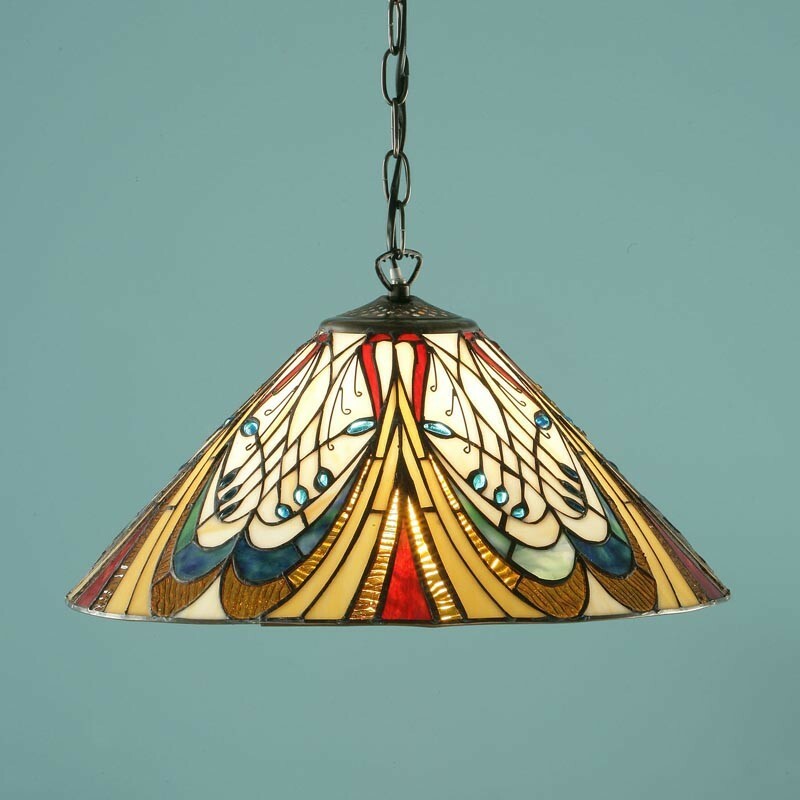 Louis, born in 1848, could easily have followed his father into the family business but chose instead to attend art college and become a designer. 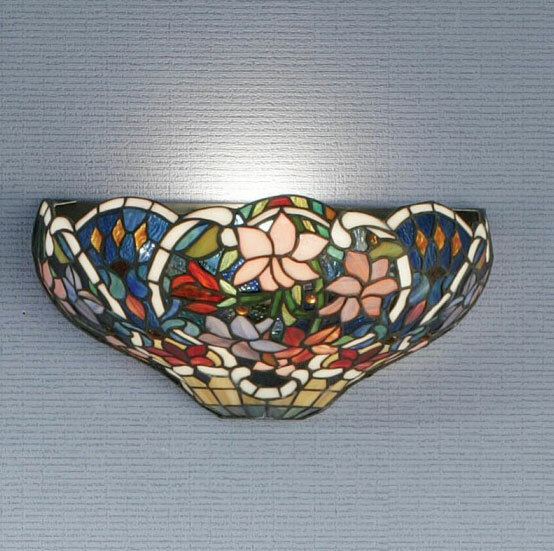 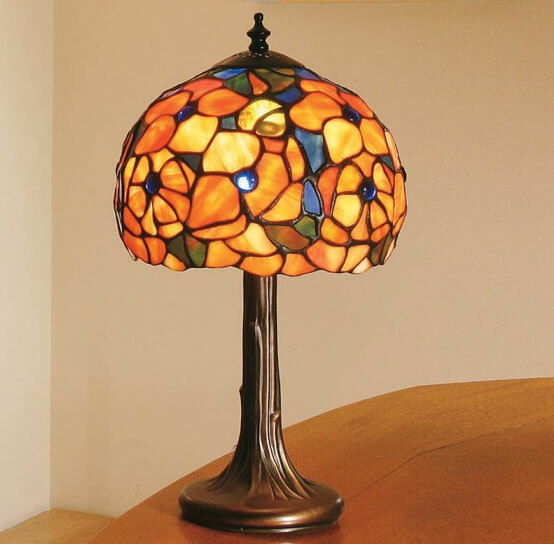 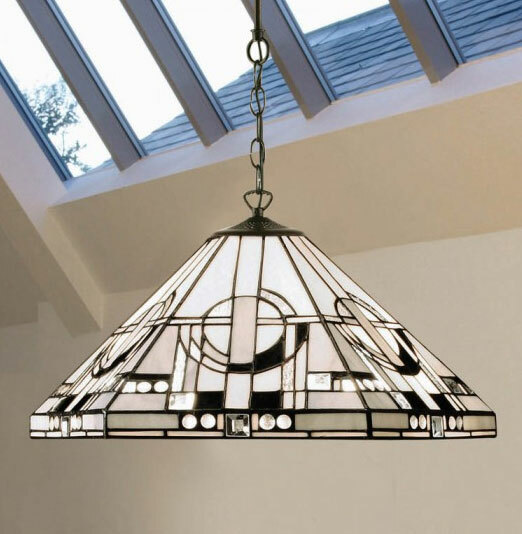 Here he came up with the idea of using a copper foil method of stained glass construction, which is still popular today and used in the making of modern Tiffany style lamps and stained glass windows. 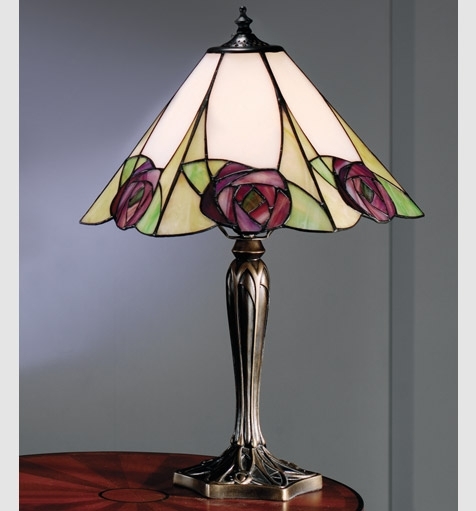 But it wasn’t until later and a meeting with Thomas Edison which happened purely by chance that the idea of combining his glass work with the light bulb actually took shape. 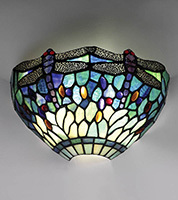 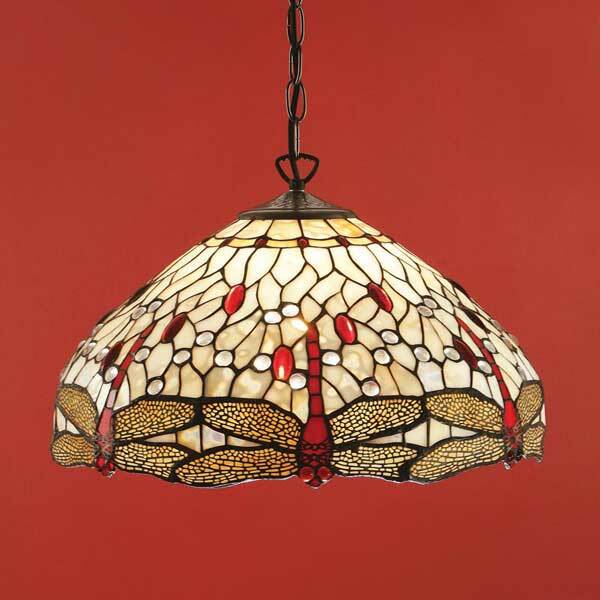 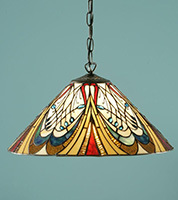 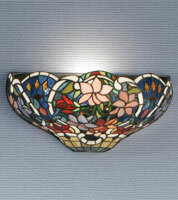 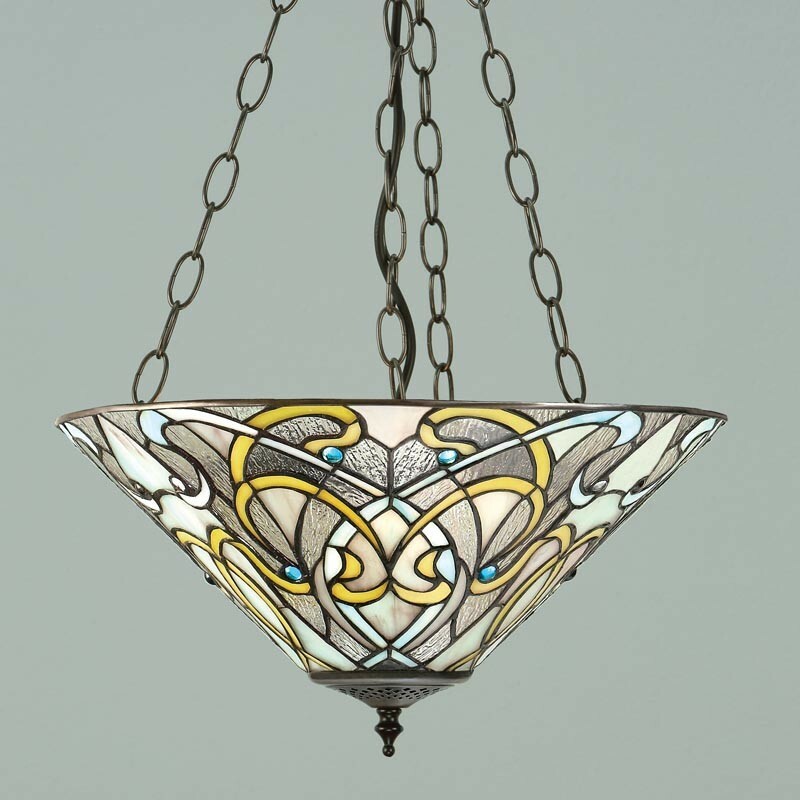 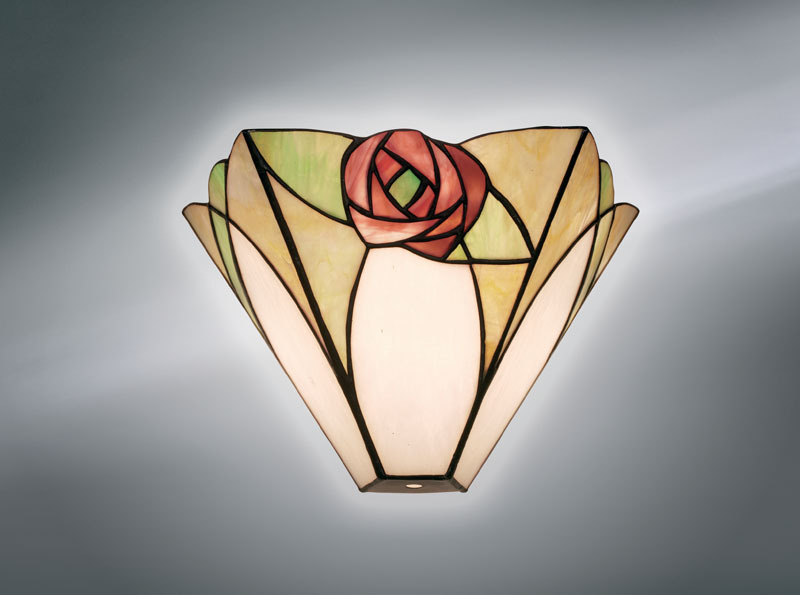 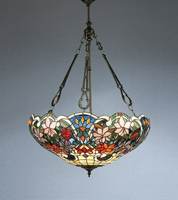 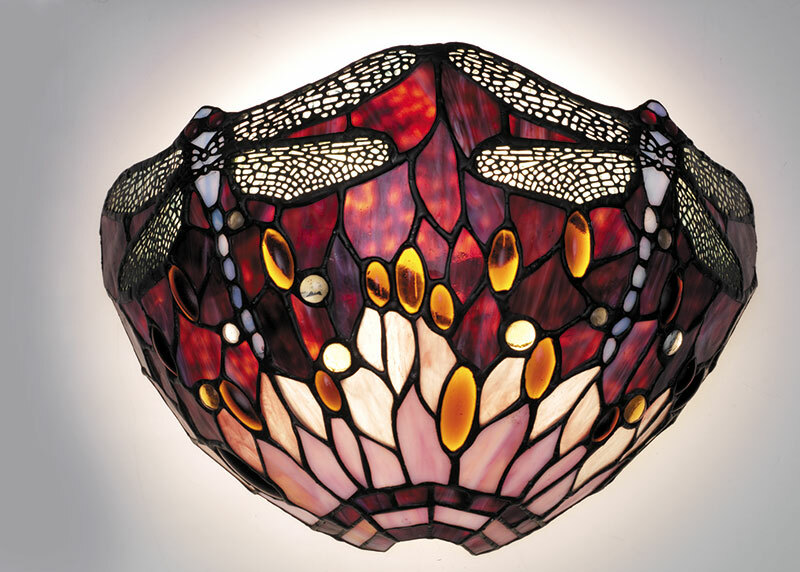 Since then of course, his work has become legendary and Tiffany lighting has become very popular in many UK homes. 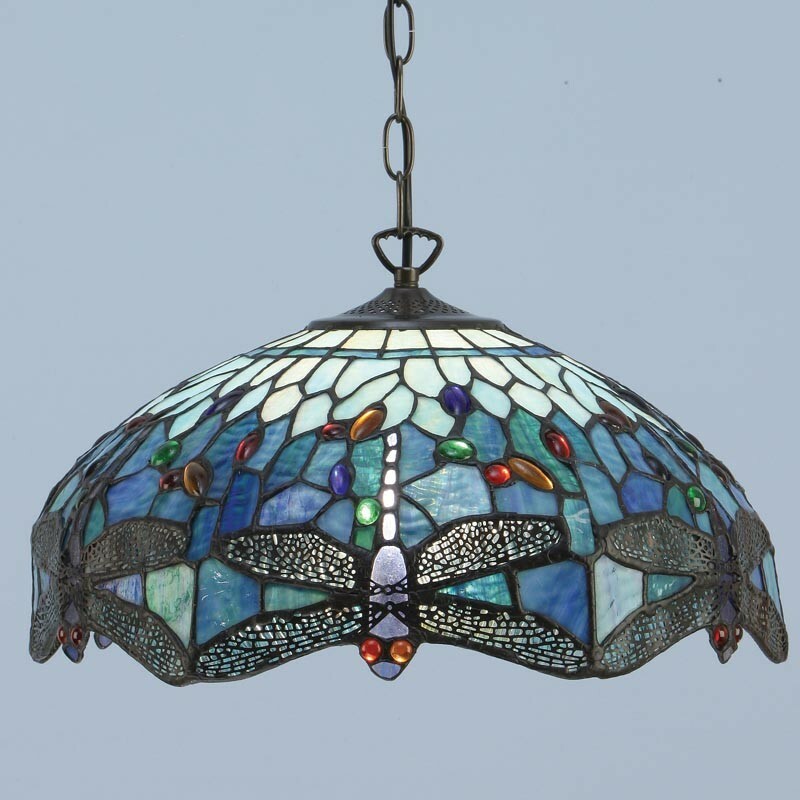 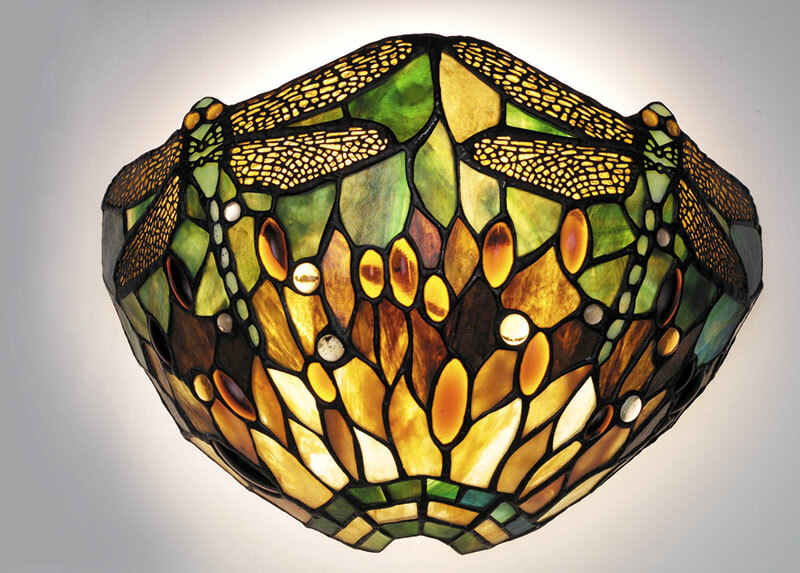 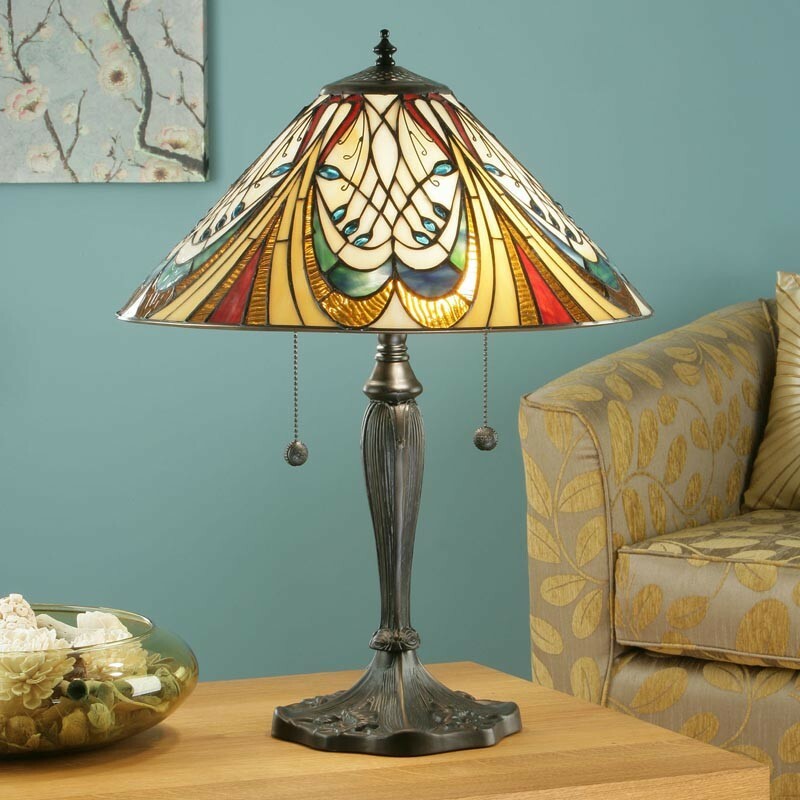 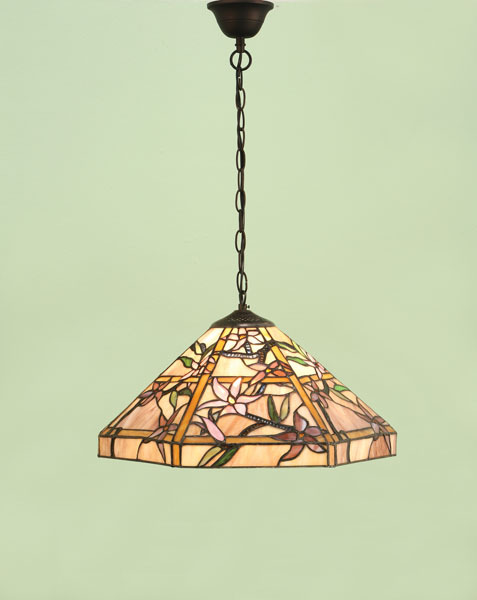 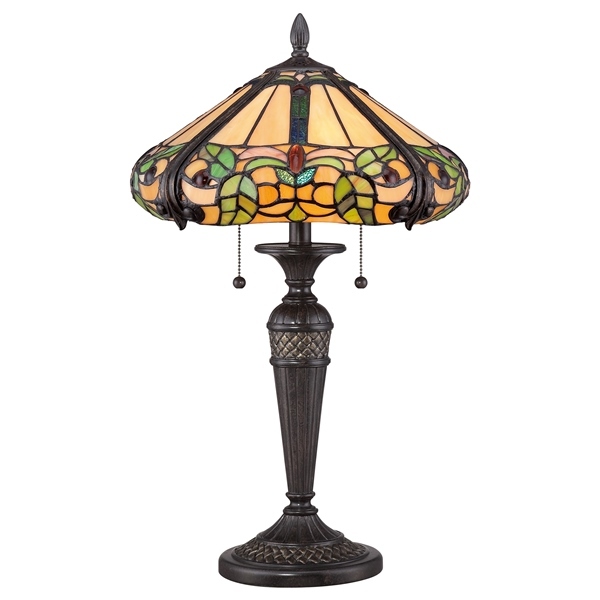 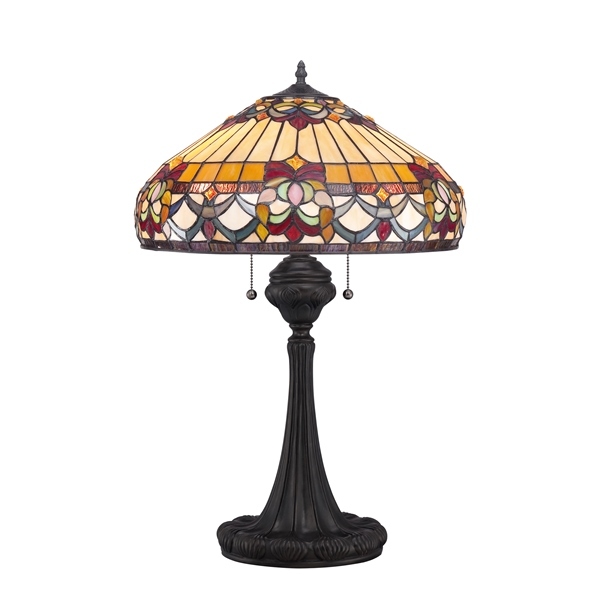 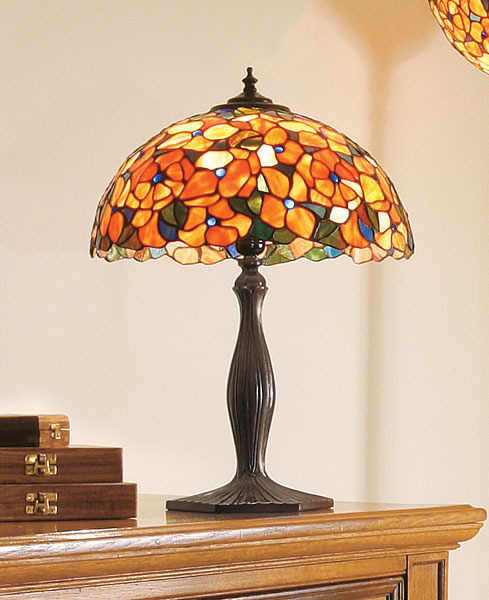 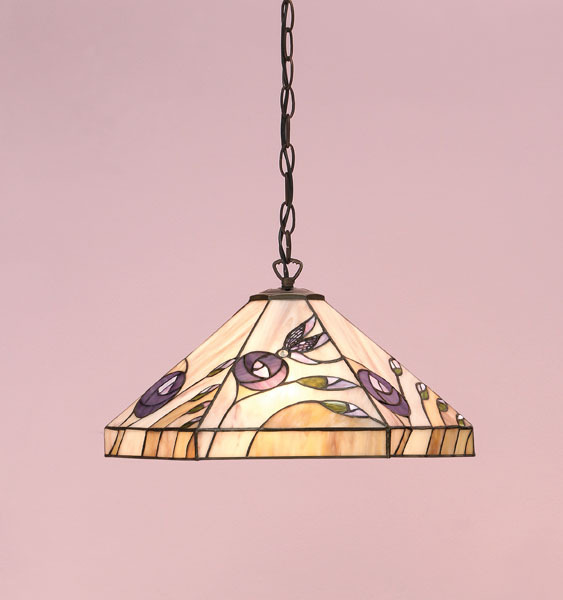 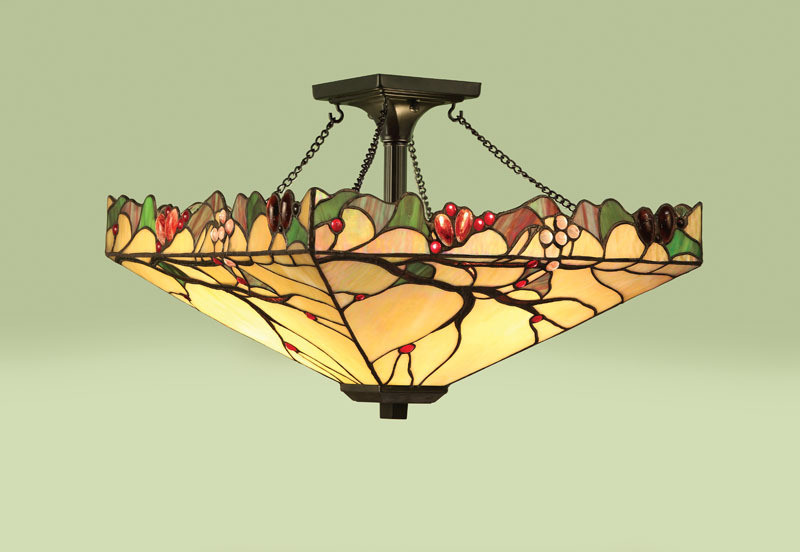 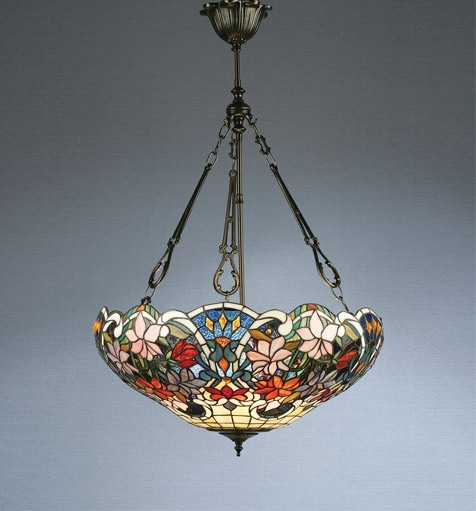 Today's Tiffany lamps are made in the same leaded glass style using many different colours of glass that are usually arranged in a natural pattern that reflects nature in some way. 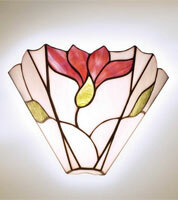 Popular designs stay true to the originals and feature trees and flowers as well as brightly coloured dragon flies. 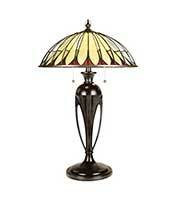 Now considered part of the Art Nouveau design movement. 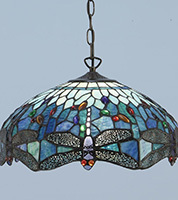 Tiffany style lamps are as popular as ever. 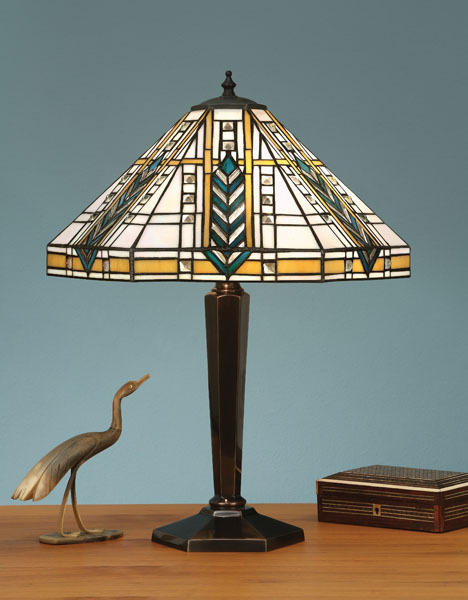 Our extensive range of Tiffany table lamps includes the Tiffany Studio table lamp, the Tiffany Classic table lamp, the Tiffany Mackintosh table lamp, the Tiffany Art Nouveau table lamp and the Tiffany Modern table lamp. 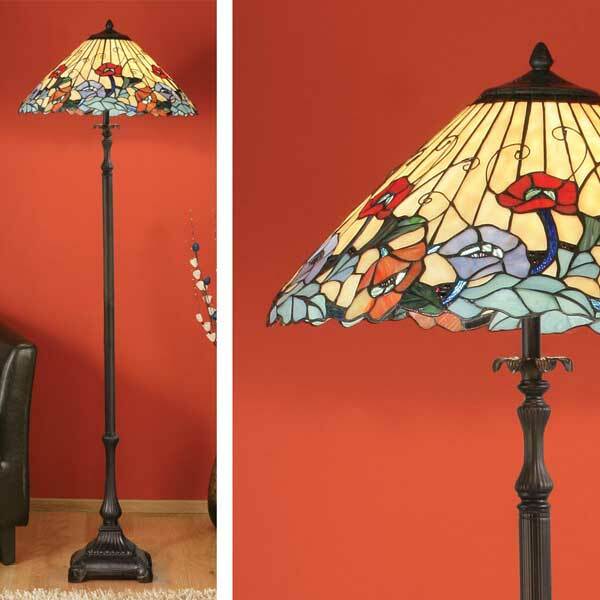 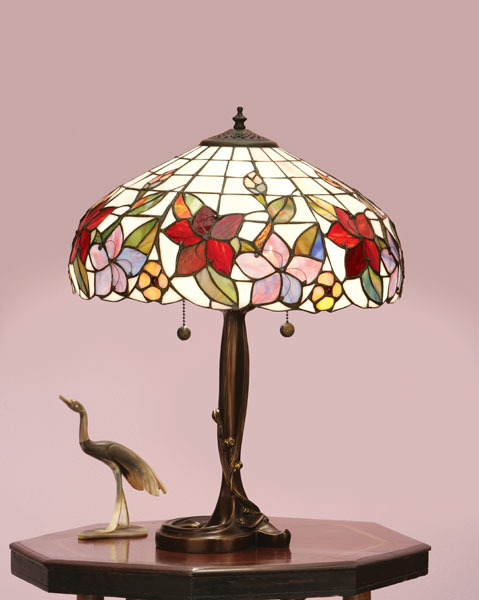 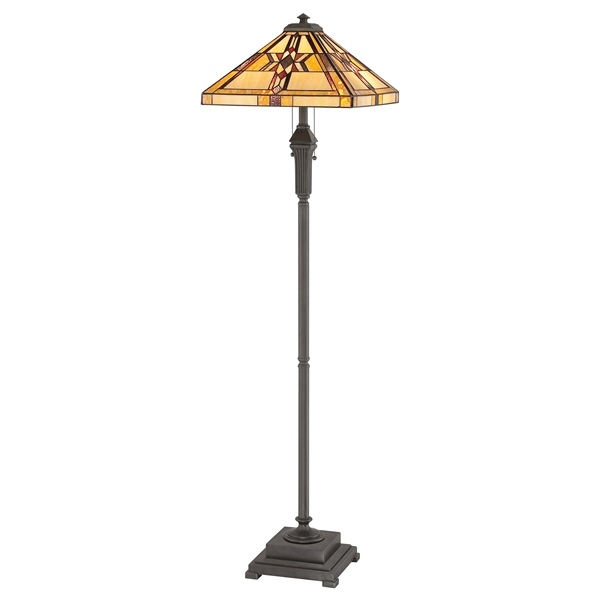 We can also source many different styles of Tiffany table lamp including Tiffany’s floral table lamps and Tiffany’s animal inspired table lamps. 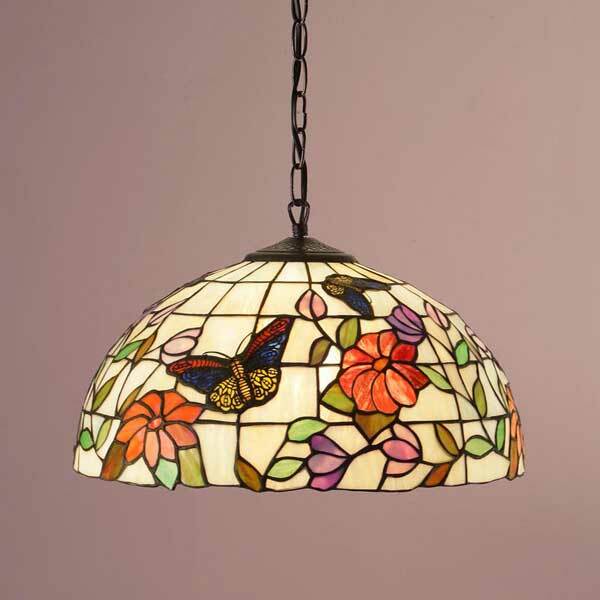 Among these designs you’ll find the lily, the green leaf, the poinsettia, the Tiffany rose, the climbing leaf, the peonie, the maple, the wisteria and the sunflower and such animal inspired creations as the butterfly, the hummingbird and the dragonfly as well as the peacock. 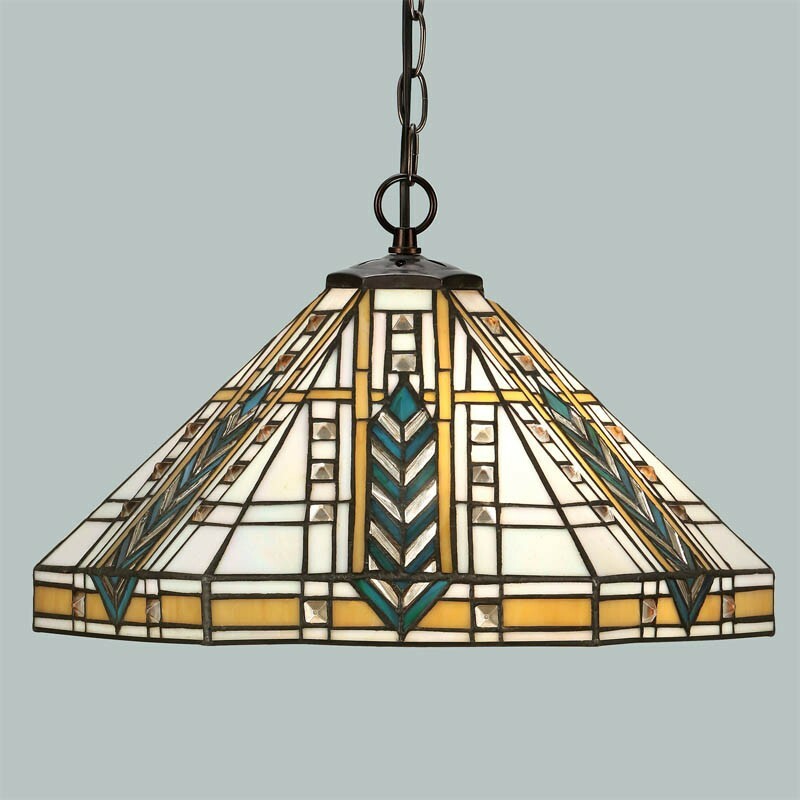 Tiffany’s designs were not all nature inspired, one or two period pieces were thrown in for good measure. 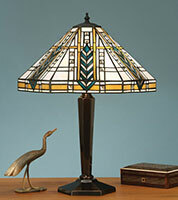 These included the Egyptian, the Elizabethan and Art Deco styles. 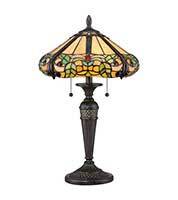 Nowadays there are even novelty Tiffany lamps in the shape of tortoises, frogs, butterflies, birds, fish and cats. 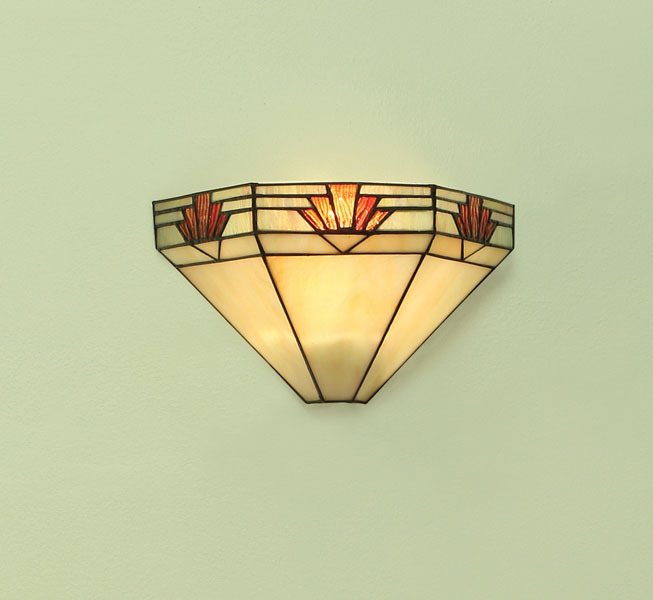 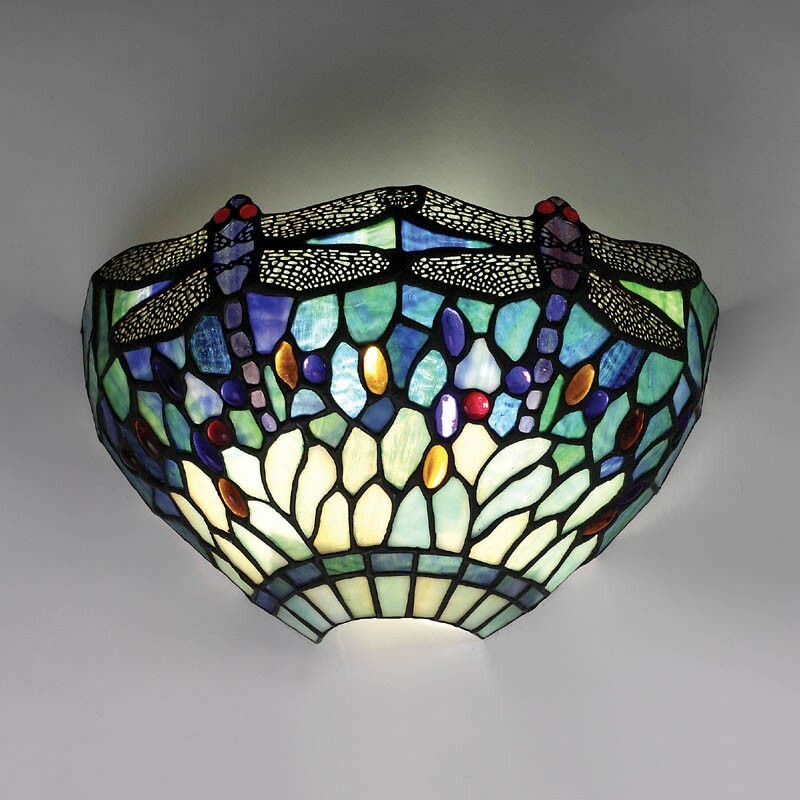 Tiffany wall lights come in the form of uplighters, which are fixed, flush to the wall, with the colourful Tiffany shade forming the sides of the lamp. 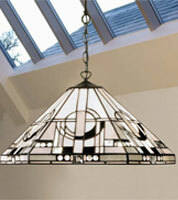 In this way, the different coloured glass forming the shade can be shown off to its best advantage. 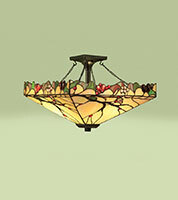 Designs in this style include the Tiffany Modern and a wealth of others including the Egyptian Terracotta wall light, the Ruby Leaf, the Jewel, the Aremisia, the Viola, the Ophelia, the Japonica, the Capucine, the Flute, the Raindrop, the Orsino, the Poinsettia, lots of different colour Dragonflies, the Floral, the Grapes and the Peonies. 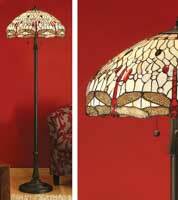 All of these designs draw on the maximum use of colour, creating a high impact, dramatic look that instantly draws the eye. 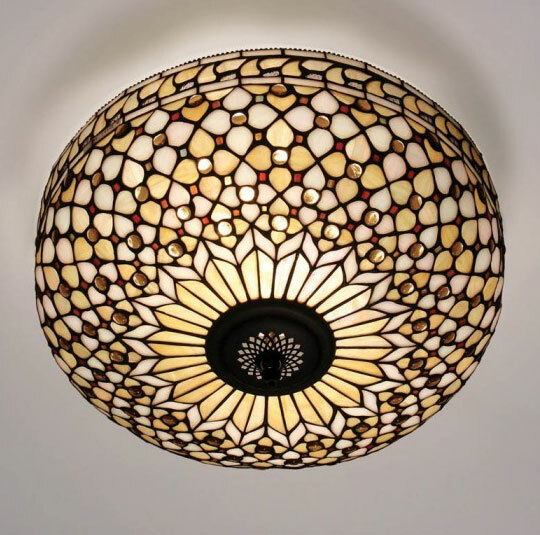 The best way to decorate your room when using these light fixtures is to go with plain walls and let the light fittings make the statement, you can always tie them in with colour on an accent wall or chimney breast. 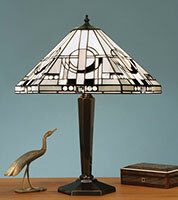 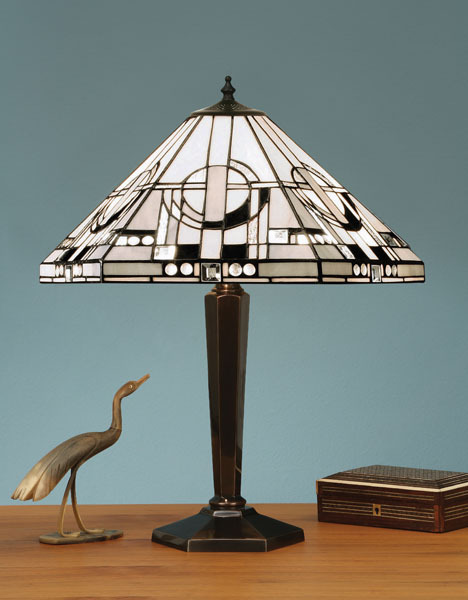 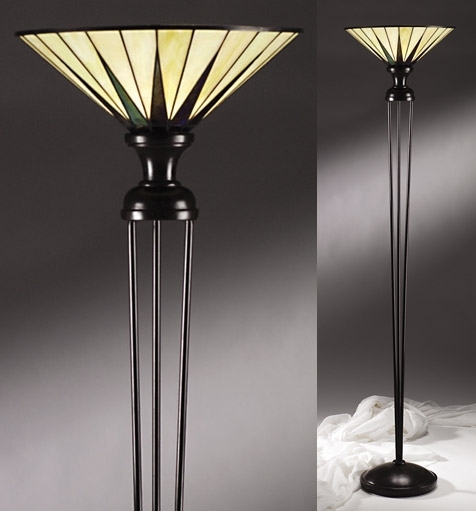 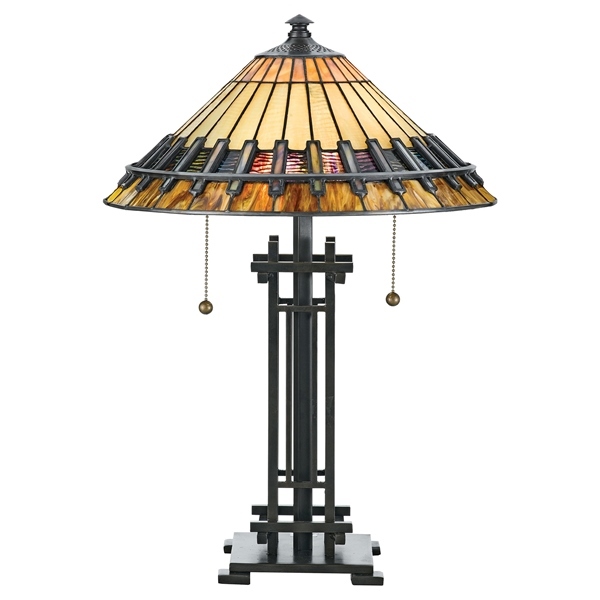 Tiffany floor lamps come in a wealth of different styles and colours, starting with the Tiffany Art Deco floor lamp. 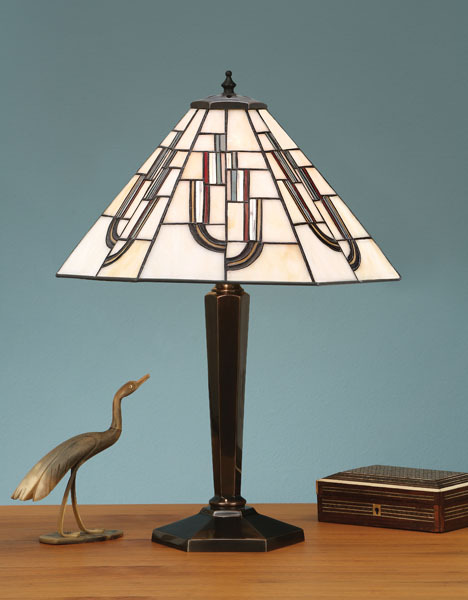 This gorgeous piece displays the trademark art deco straight lines in the face with just a hint of the female form in its shoulders and long slim waist. 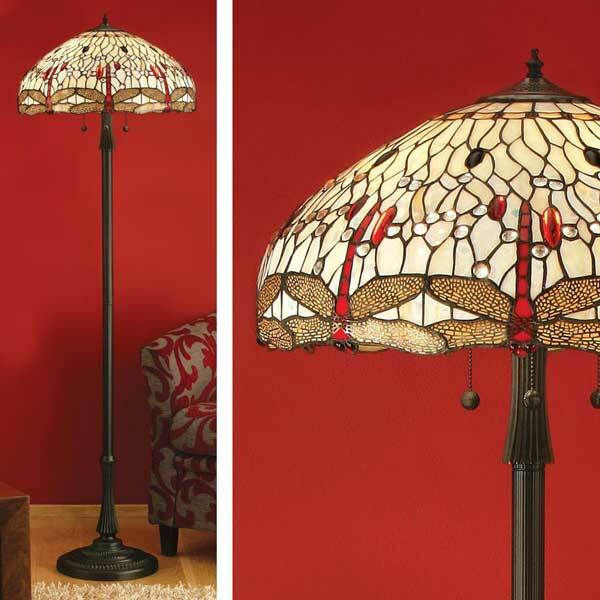 Other Tiffany floor lamps in the range include the Dragonfly in many different colours, the Ruby Leaf, the Titania, the Beige Amber, the Jewel, the Pearl and the Poppy. 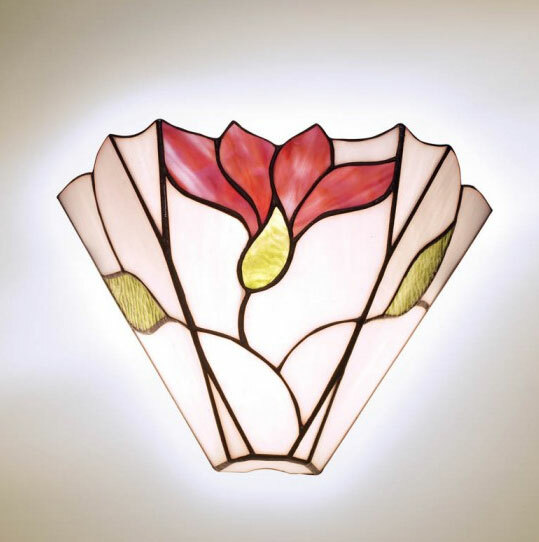 Standing at just over one and a half metres tall, they make the perfect accompaniment to your Tiffany wall light collection or your Tiffany ceiling mounted pendant. 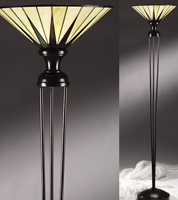 Tiffany floor lamps will suit any room in the home and are ideal for illuminating darkened corners. 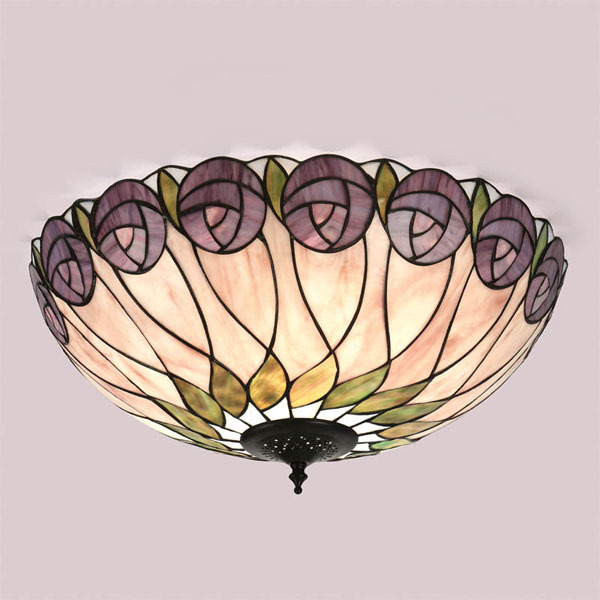 They add a certain style and grace to their surroundings and given the number of different colour combinations that are available, you are guaranteed to find one that will match or compliment your room’s décor. 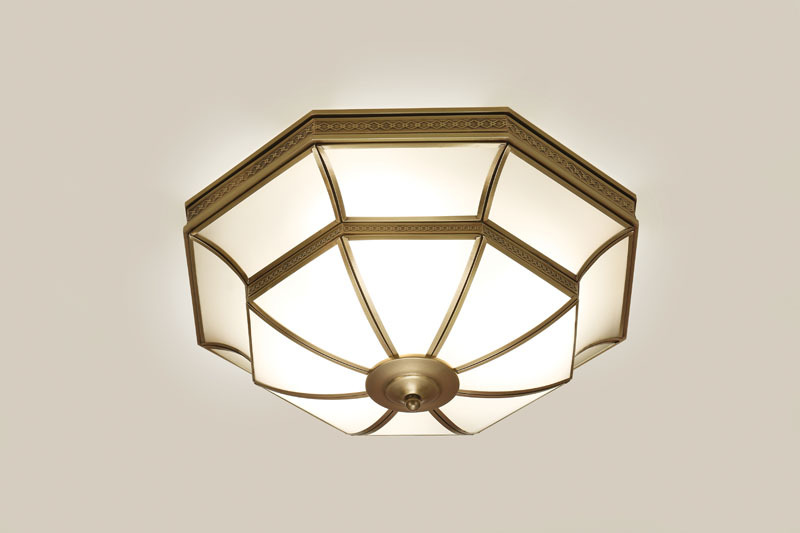 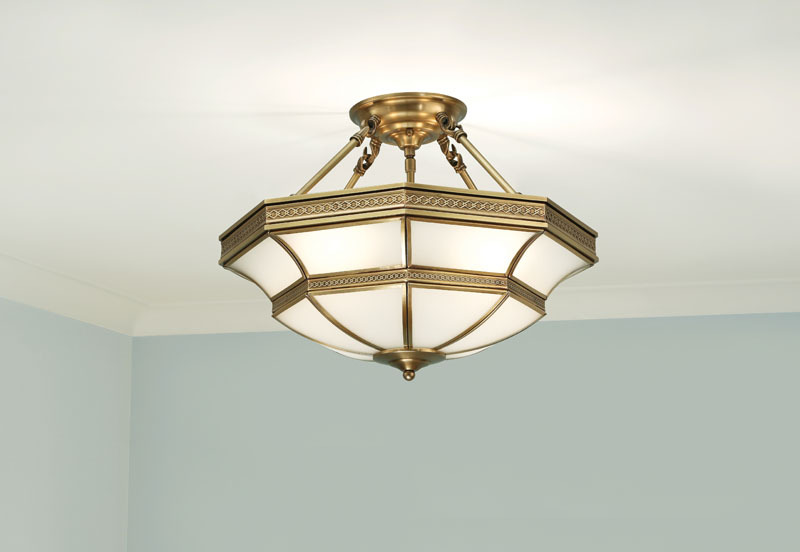 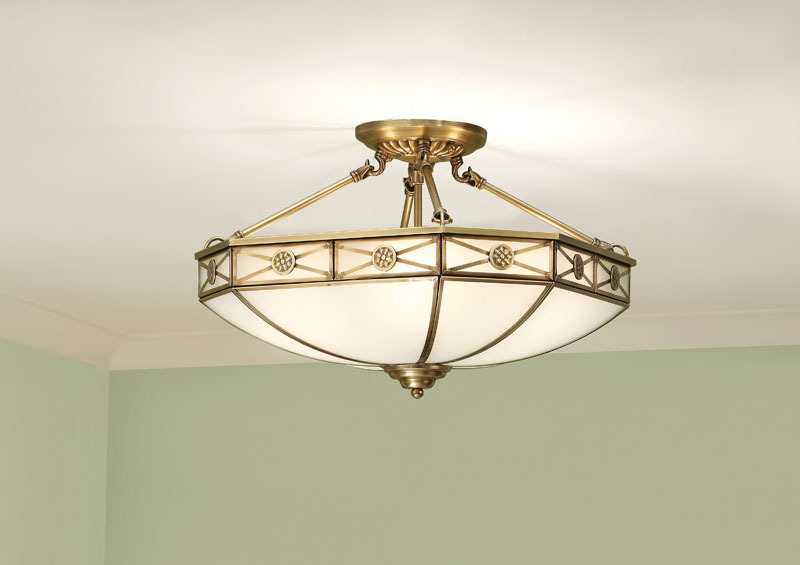 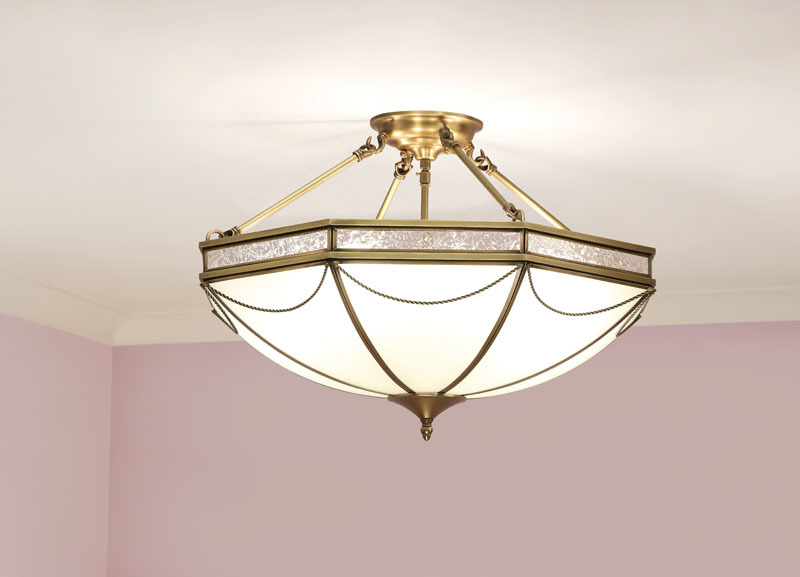 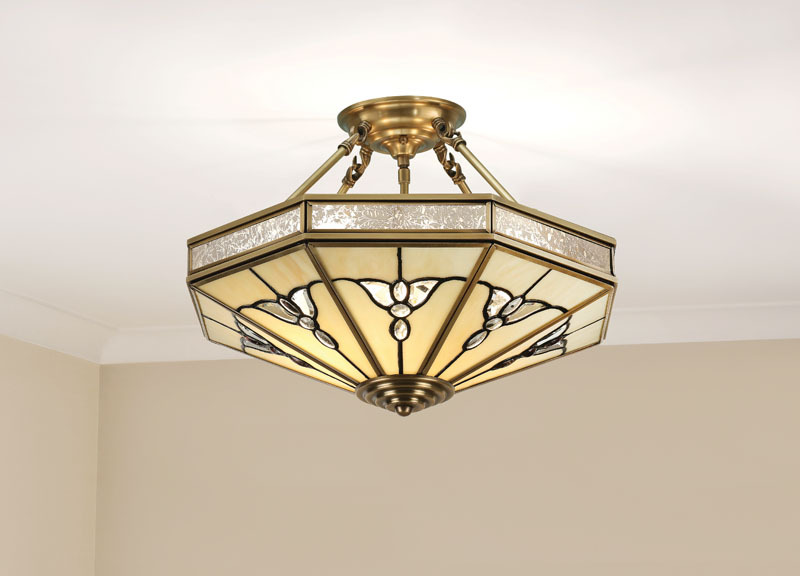 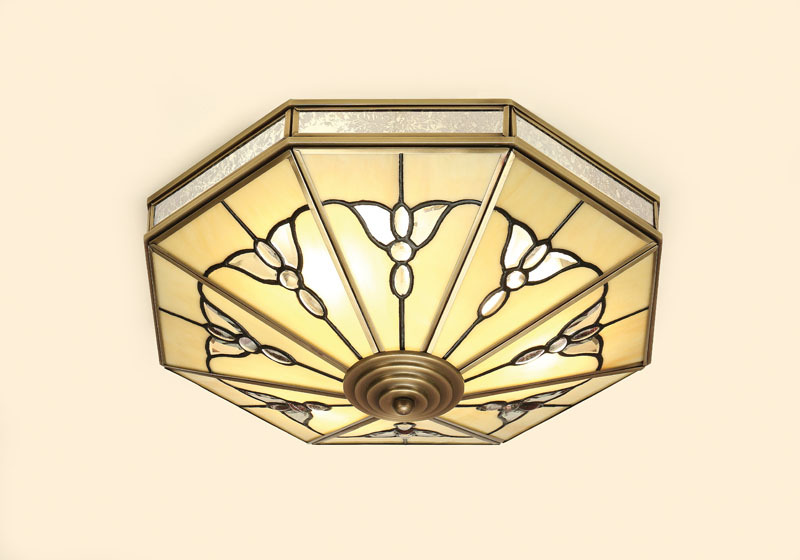 Tiffany pendant light shades, Tiffany ceiling lights and Tiffany chandeliers are also available, starting with the Art Deco style Tiffany eight candle chandelier, a gorgeous piece with its subtly curving yellow metal arms and the straight leaded lines of is Art Deco style shades. The range is further enhanced by Art Deco pendant lights which throw dramatic lighting effects all around the room. 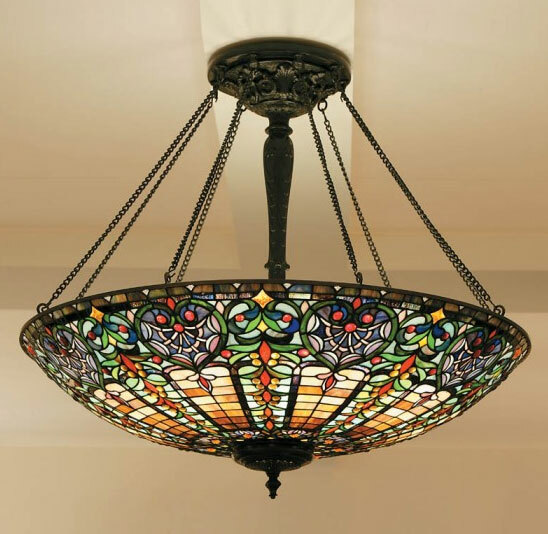 Tiffany ceiling lights can be used as central lighting features in almost any room of the home, creating a warm, rich, ambient light. 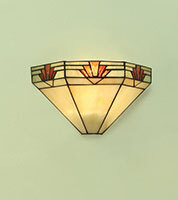 Design is not lost on the flush and semi flush Tiffany light fittings either. 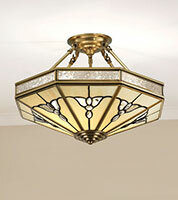 These fit very close to the ceiling, making them perfect for rooms with lower ceilings. 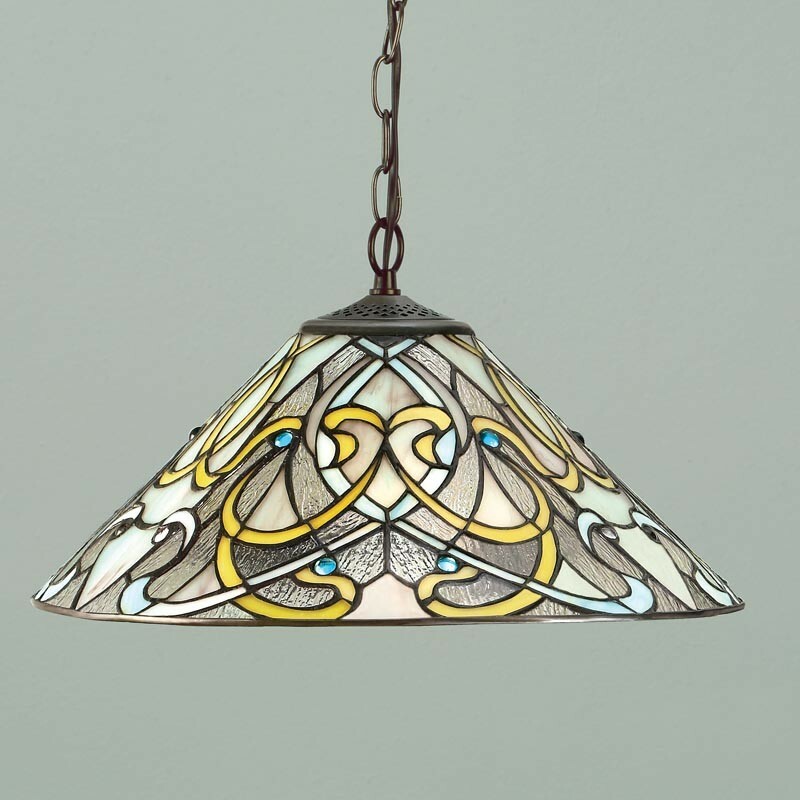 All items can be ordered over the phone so, if you would like to place an order or if you require any further information about our Tiffany lighting range, or have any questions, please contact us or better still, pop in to our north London store where you can view and select from our stunning range of Tiffany pendant lights and Tiffany ceiling lights. 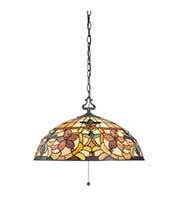 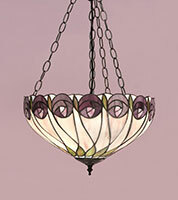 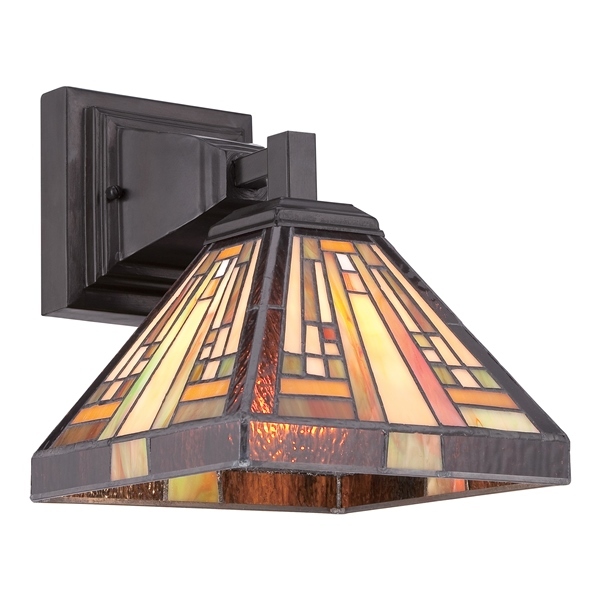 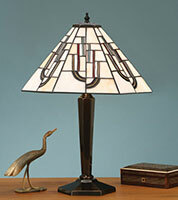 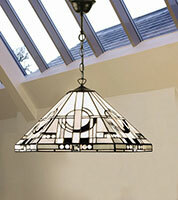 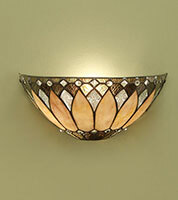 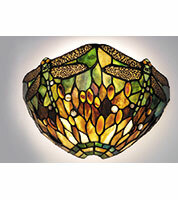 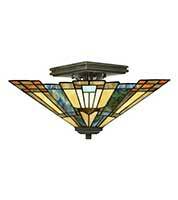 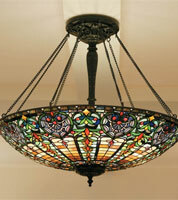 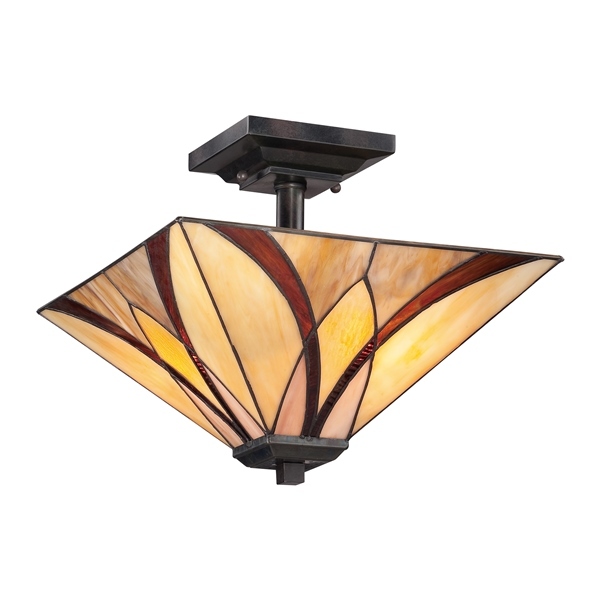 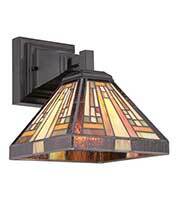 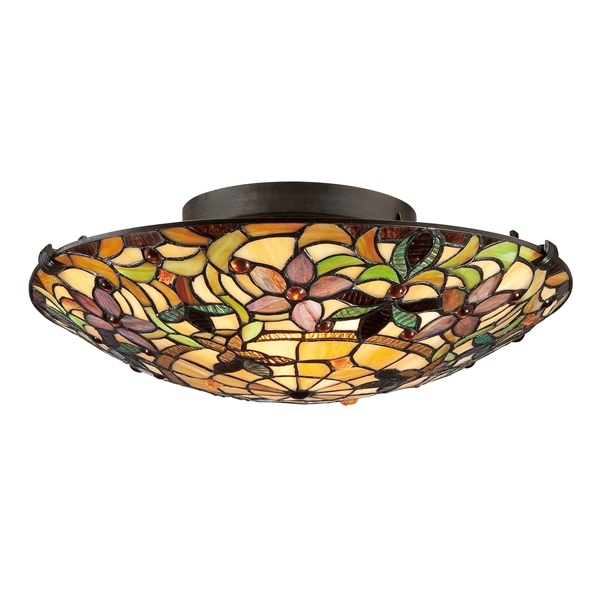 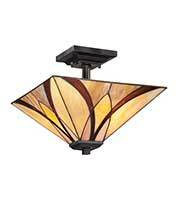 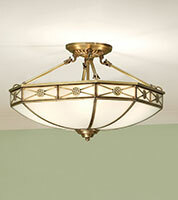 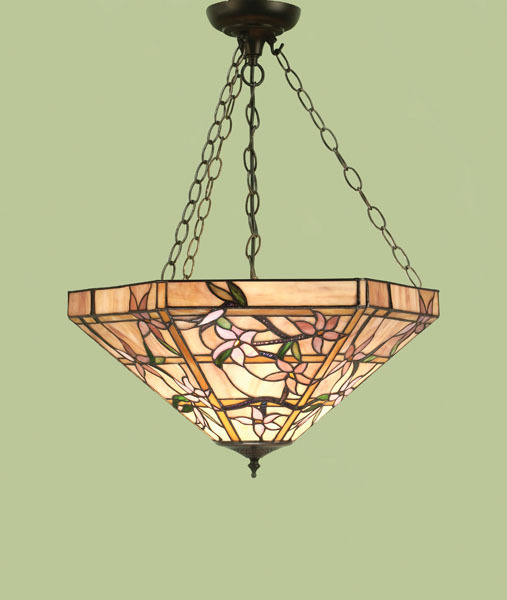 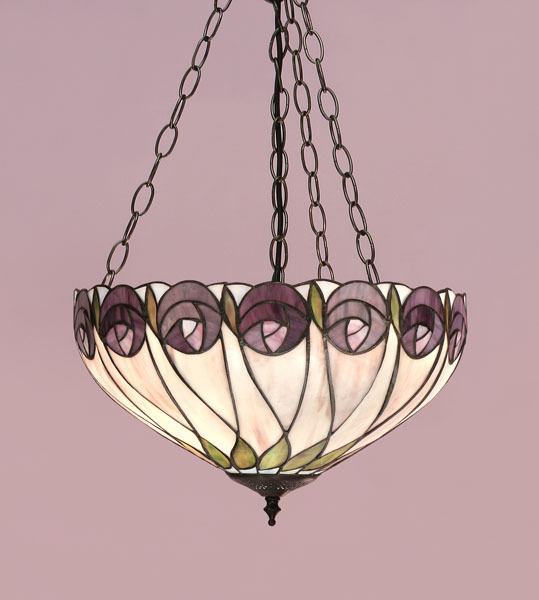 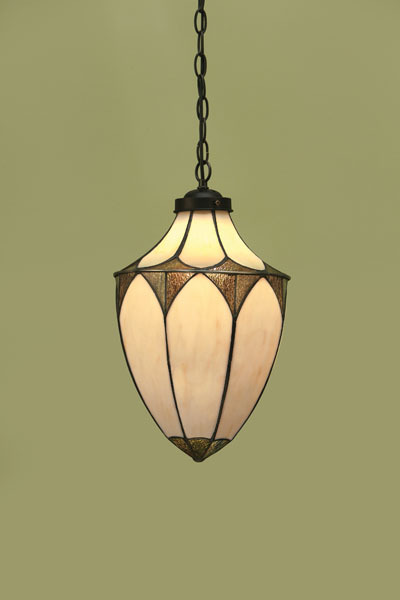 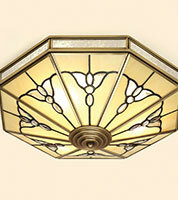 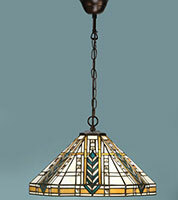 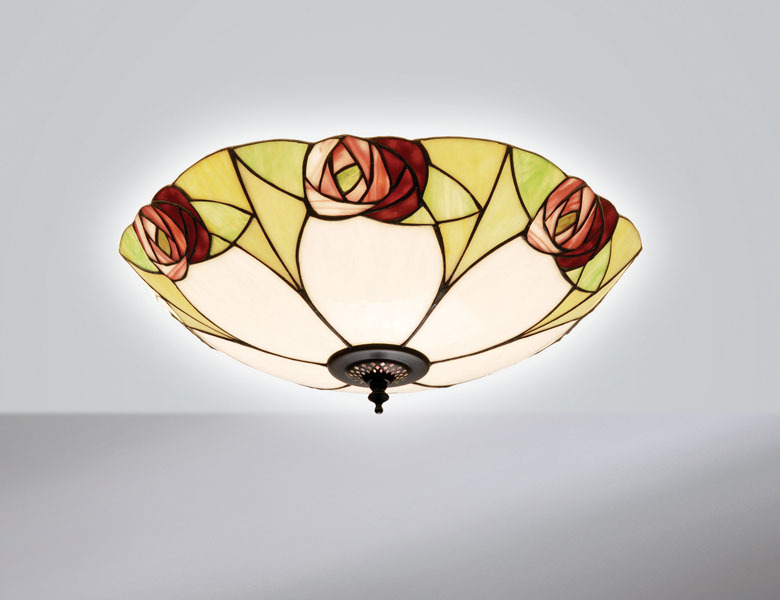 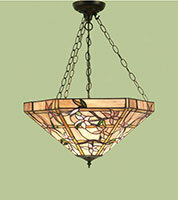 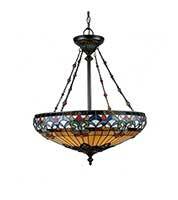 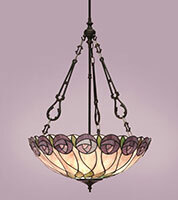 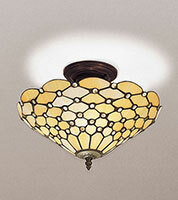 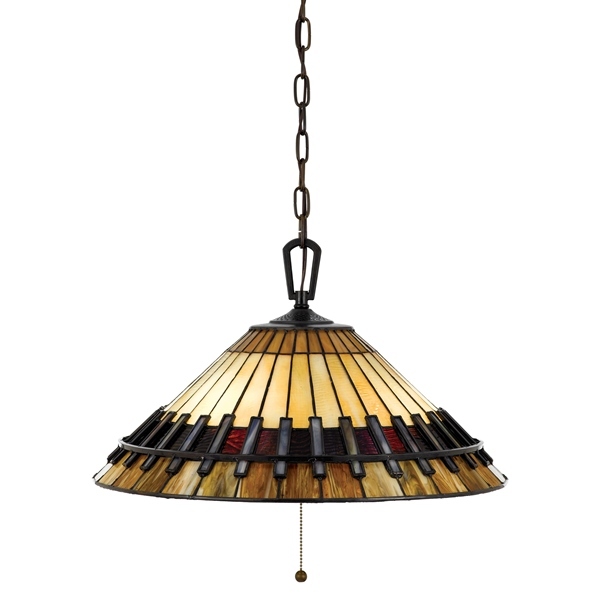 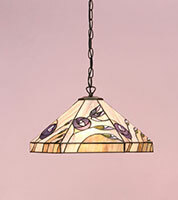 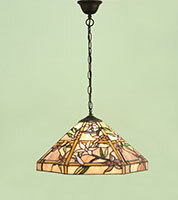 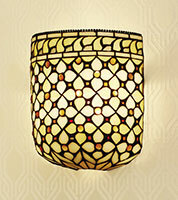 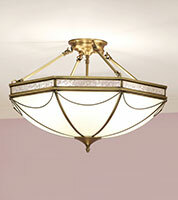 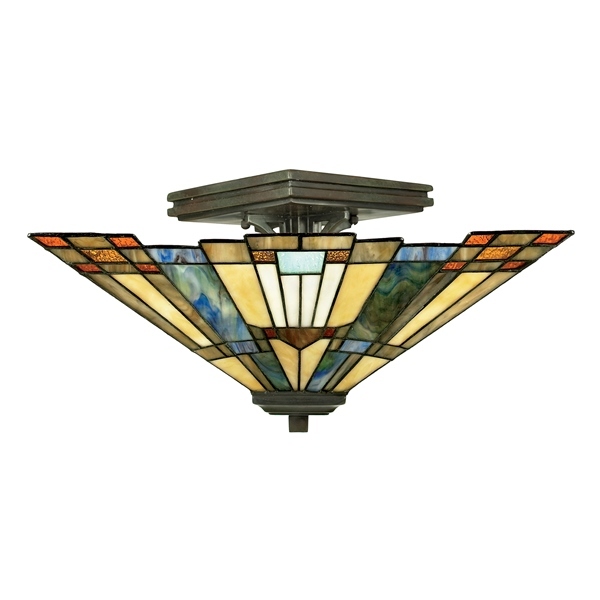 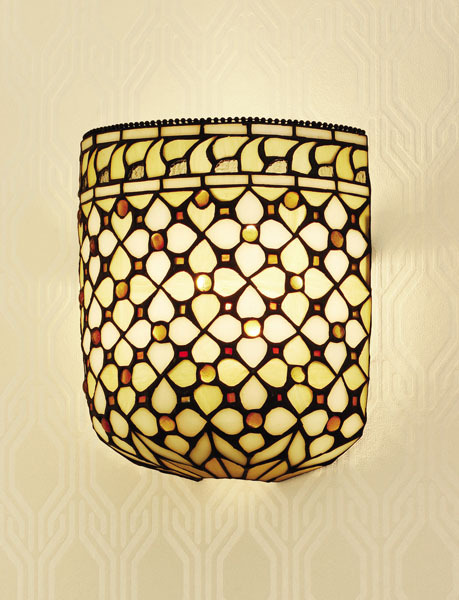 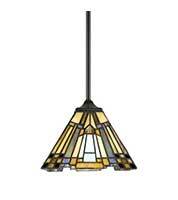 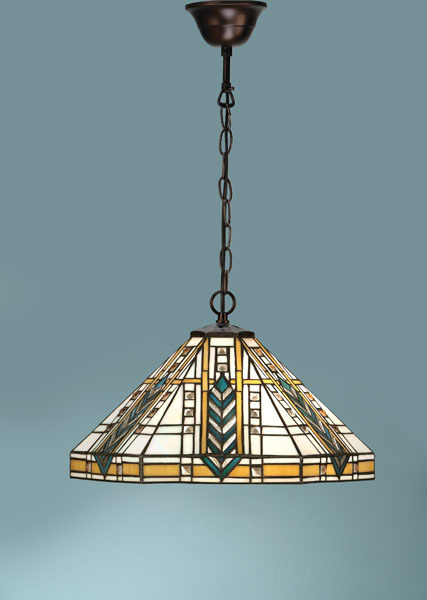 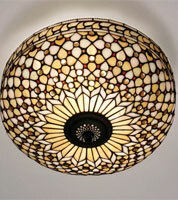 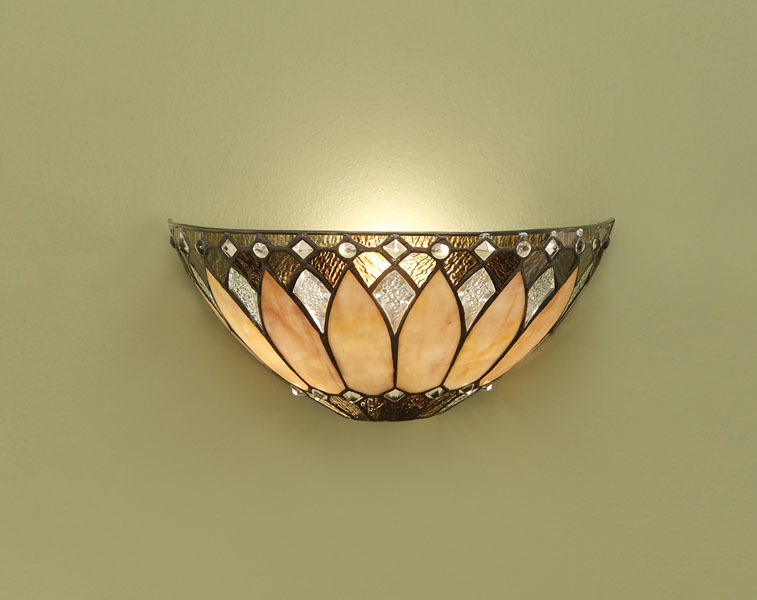 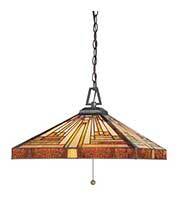 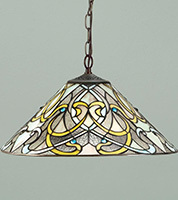 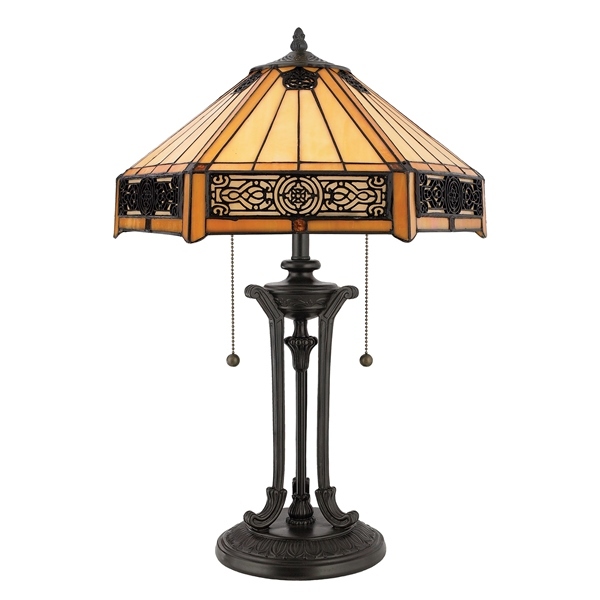 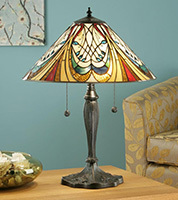 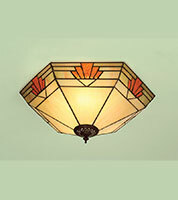 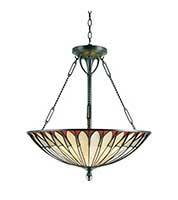 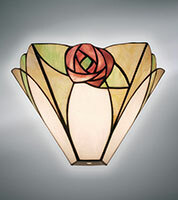 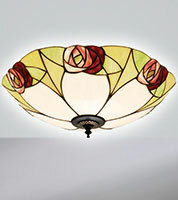 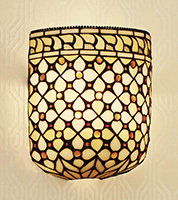 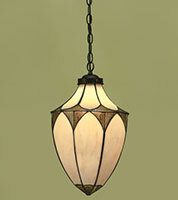 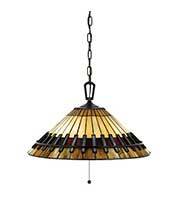 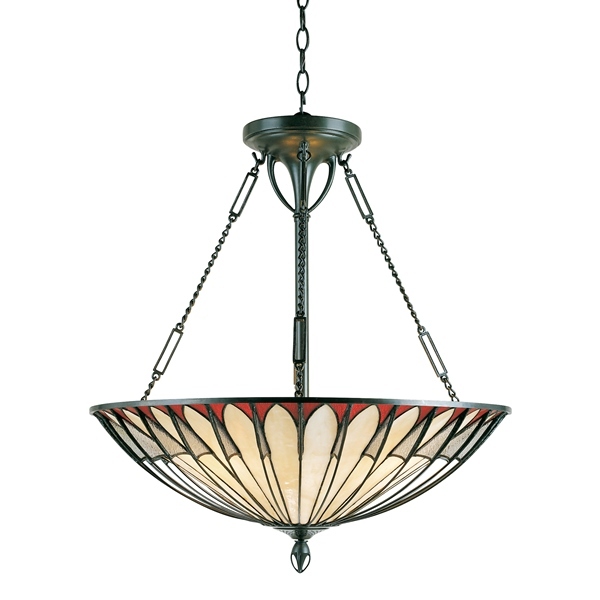 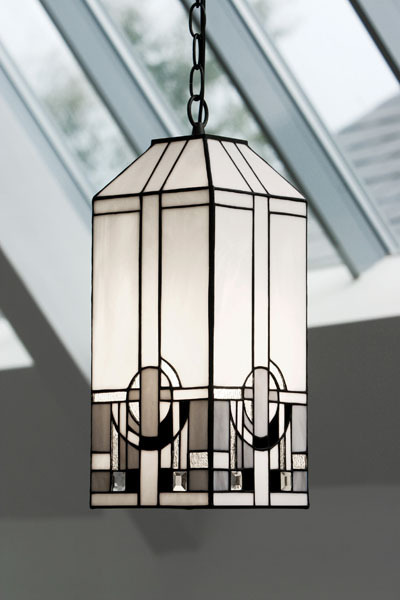 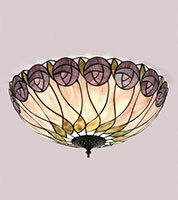 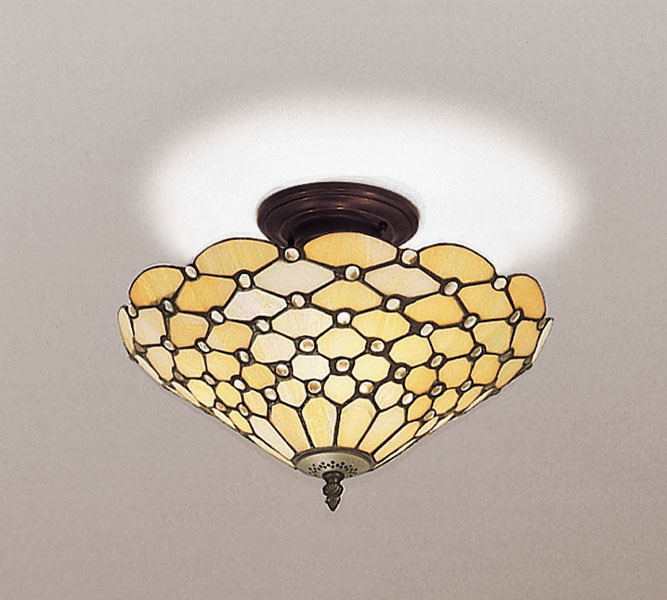 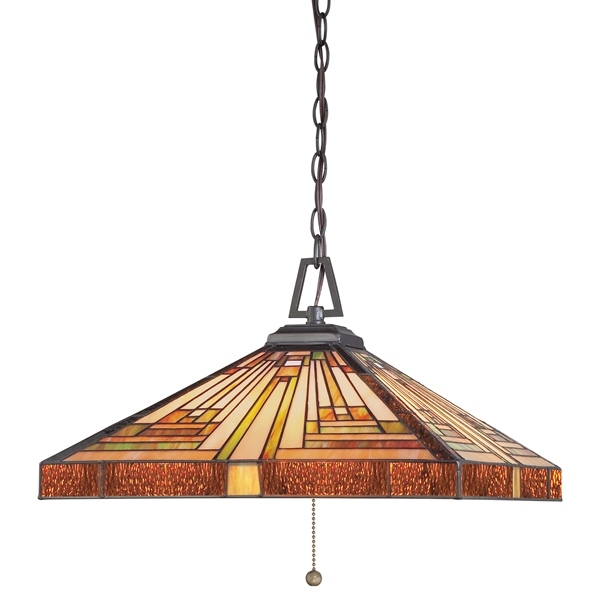 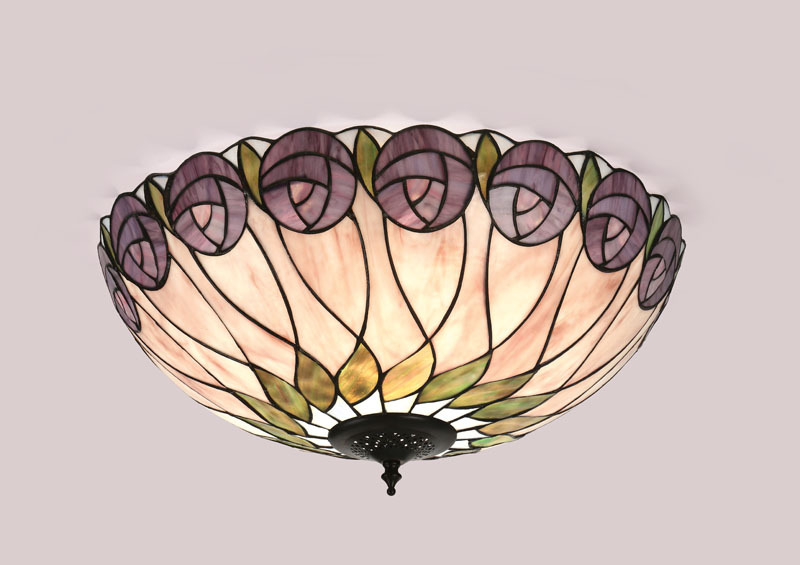 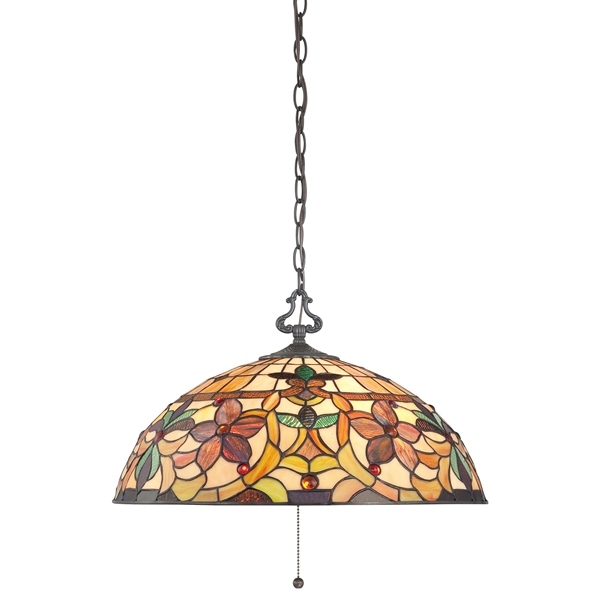 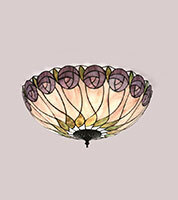 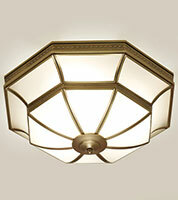 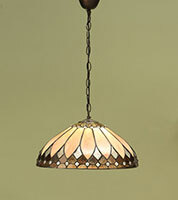 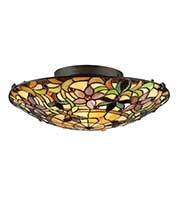 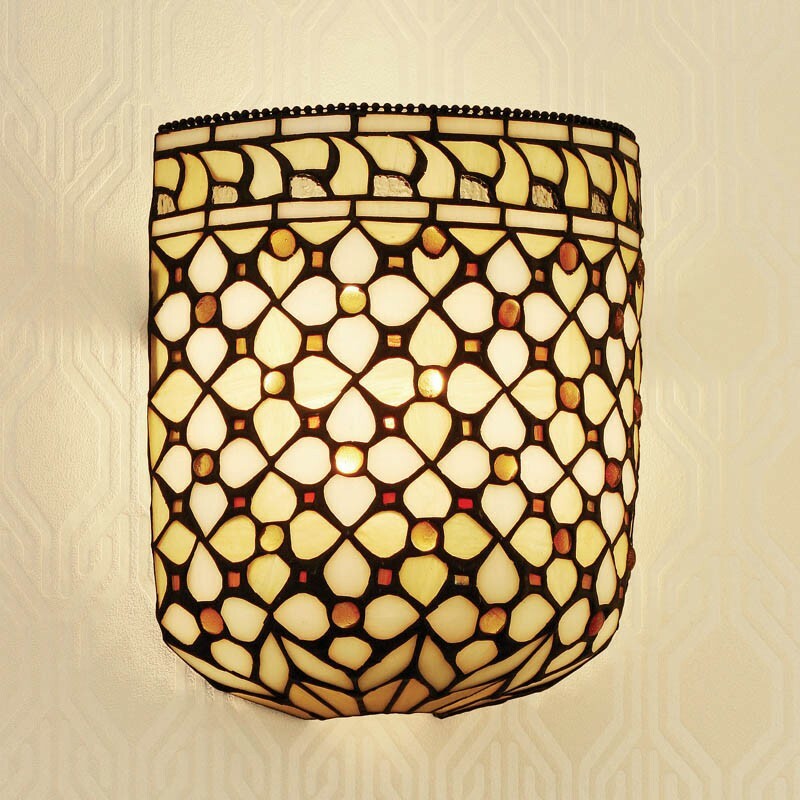 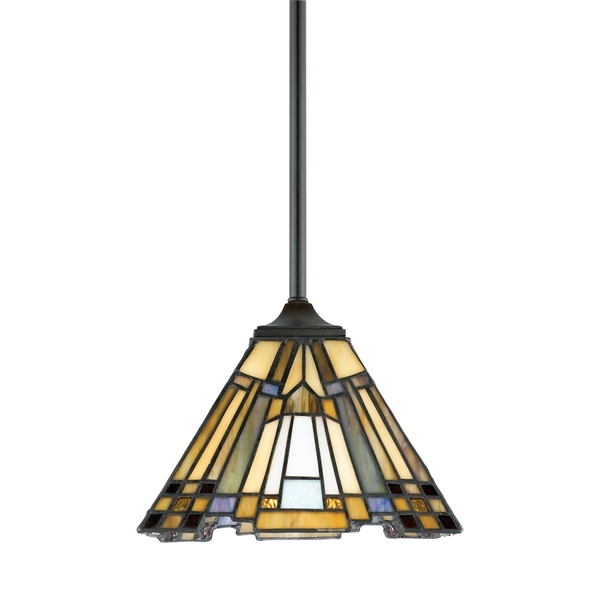 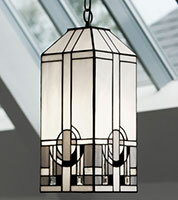 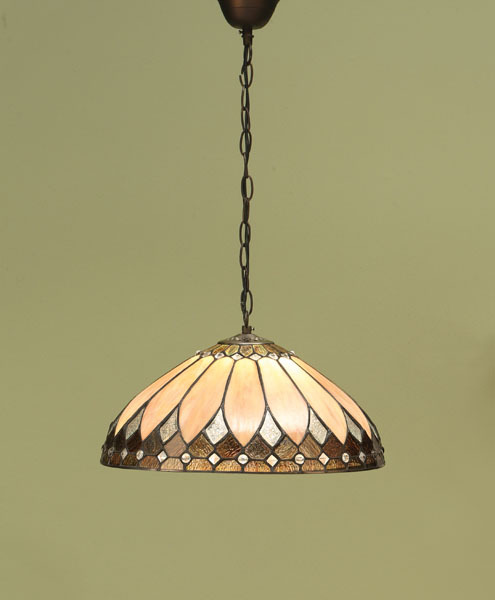 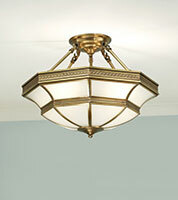 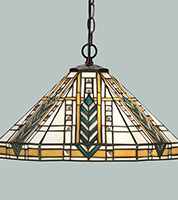 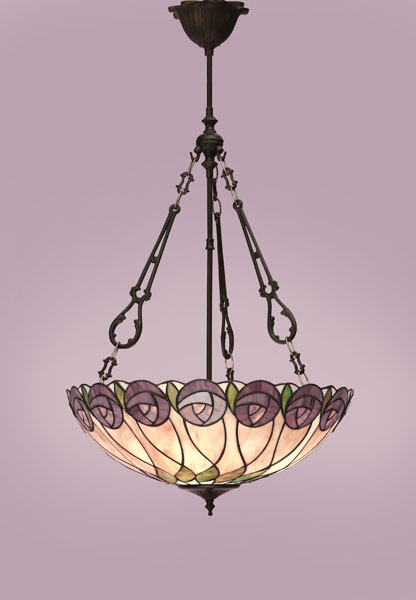 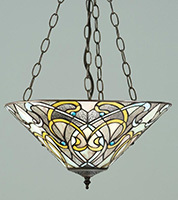 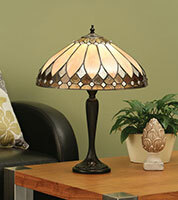 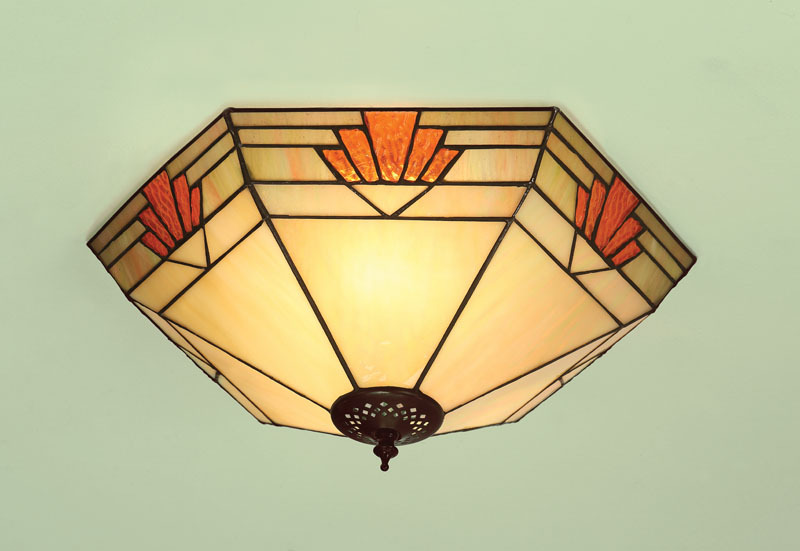 We have 1000's of Tiffany Lighting design's in our showroom!